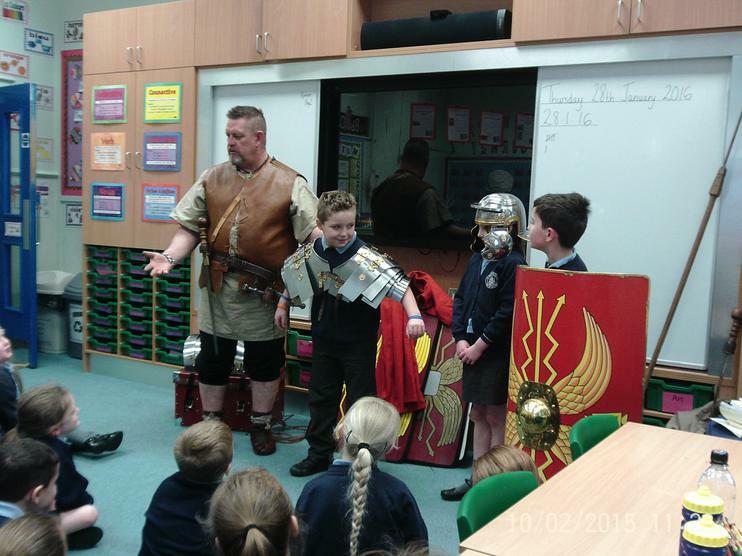 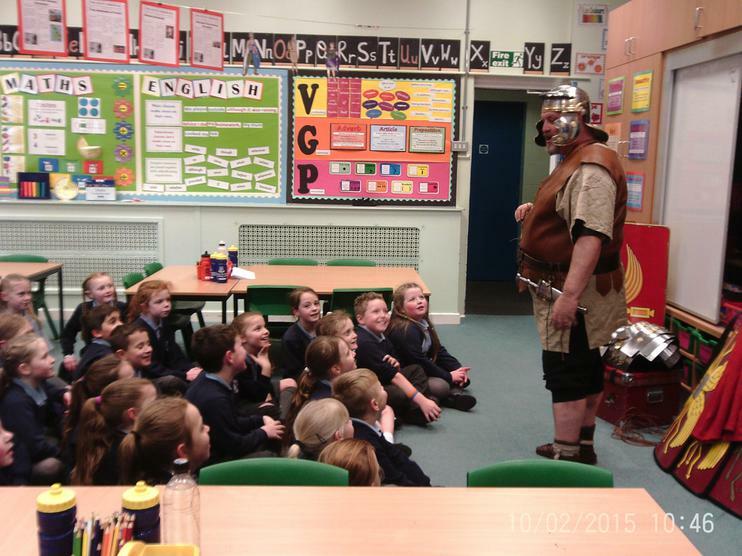 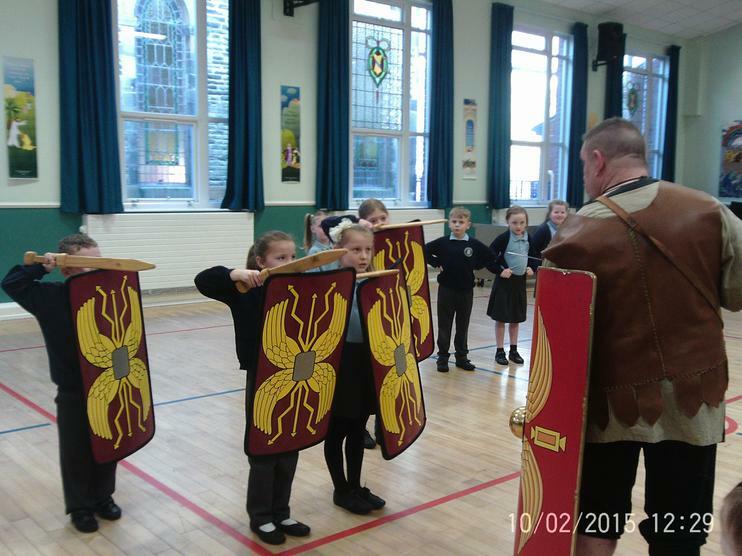 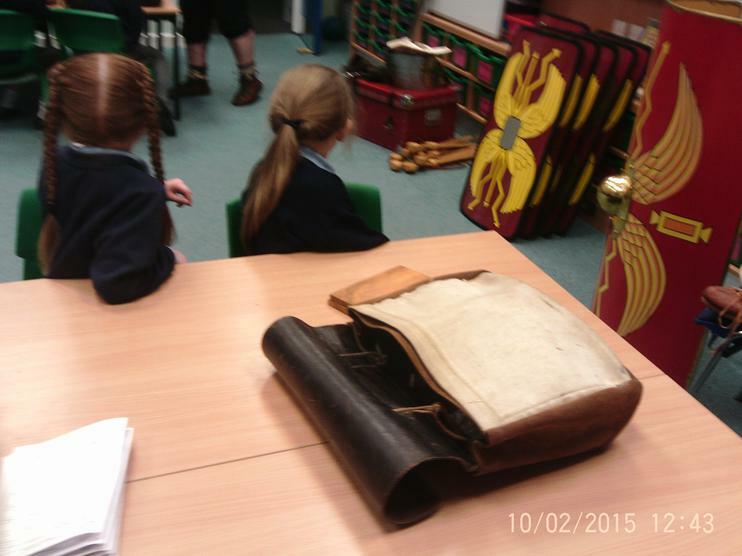 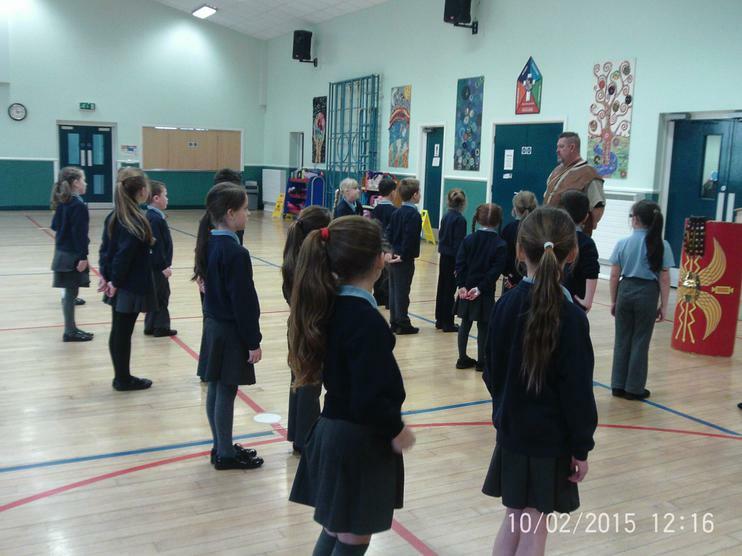 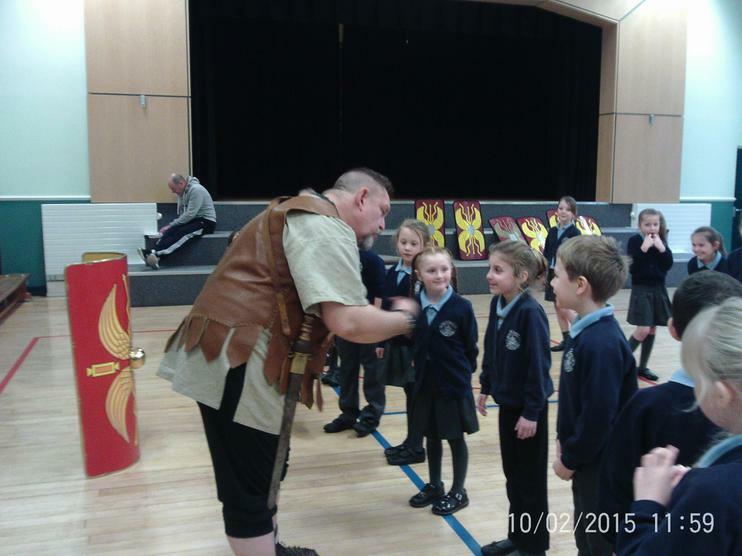 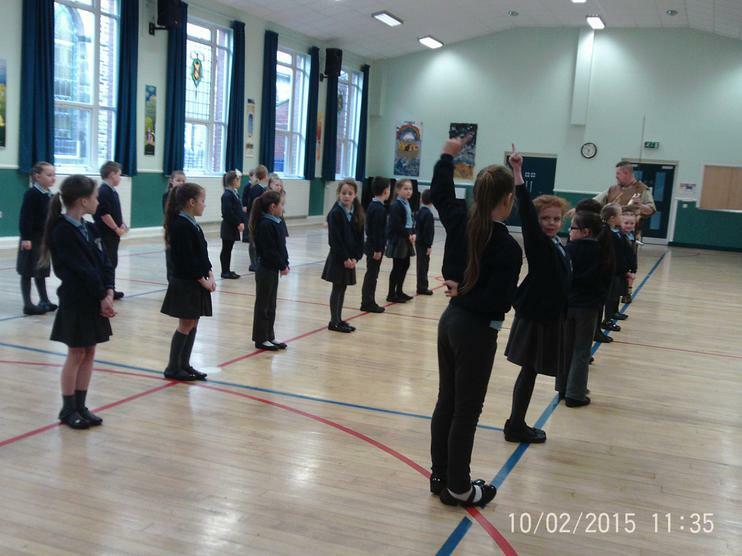 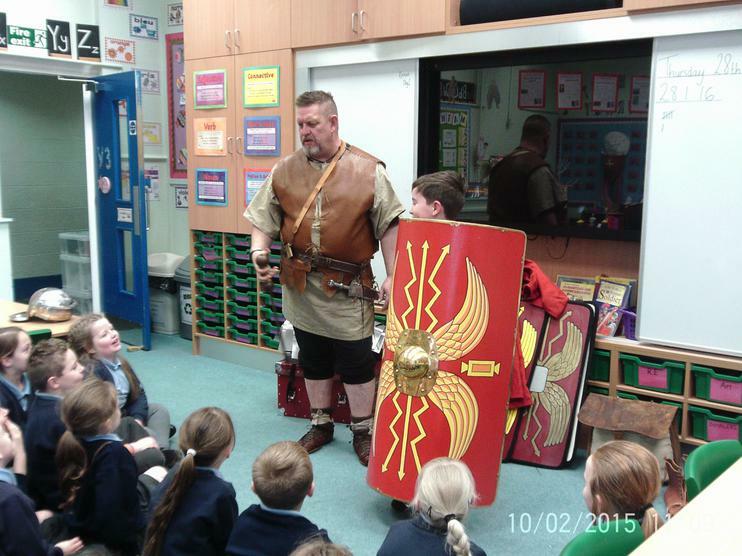 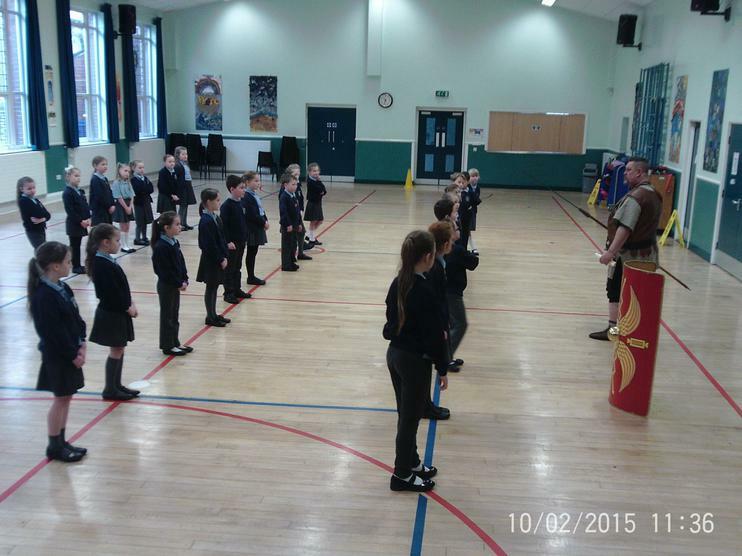 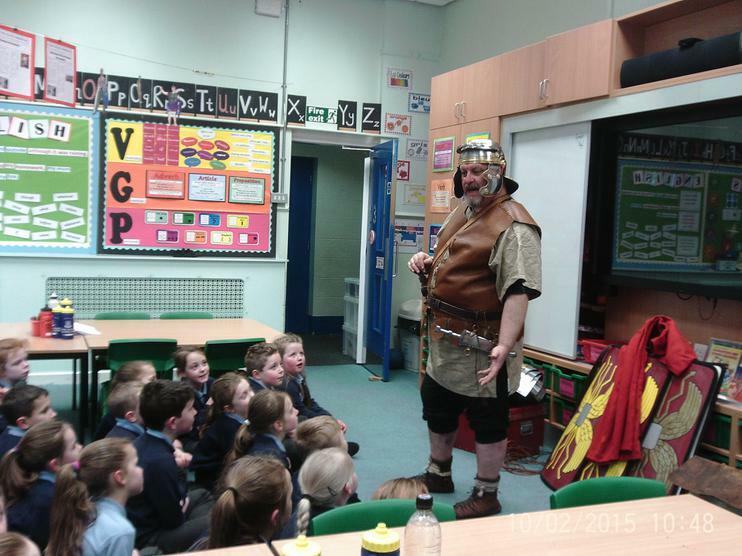 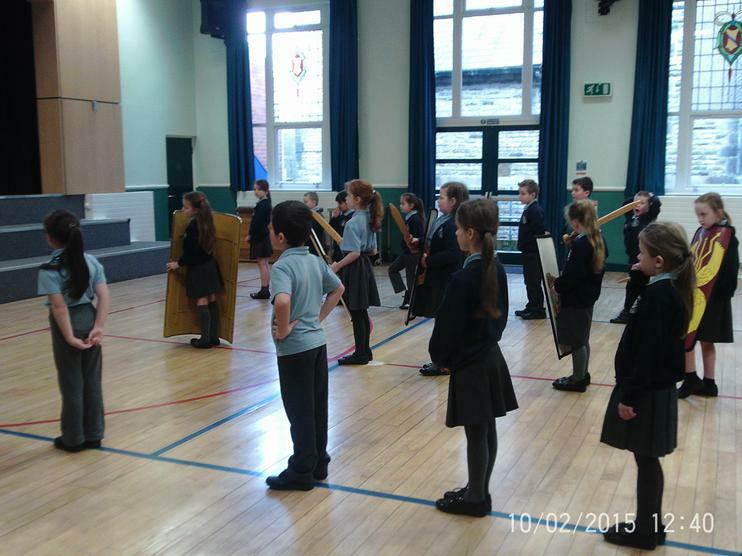 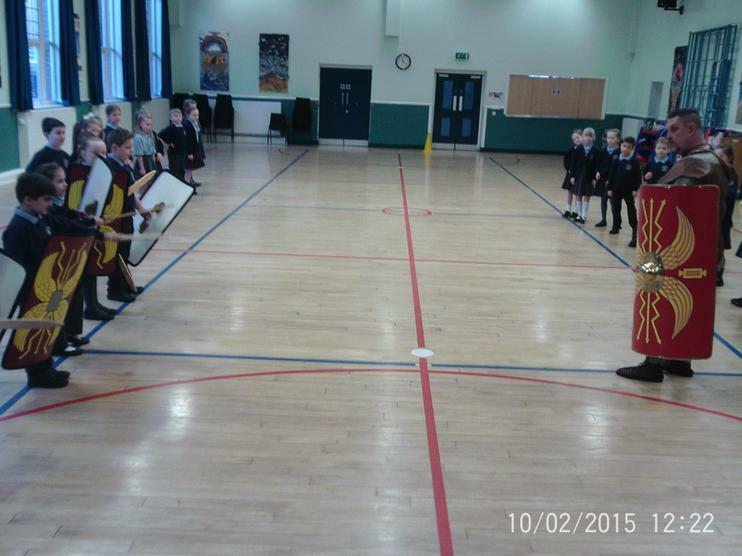 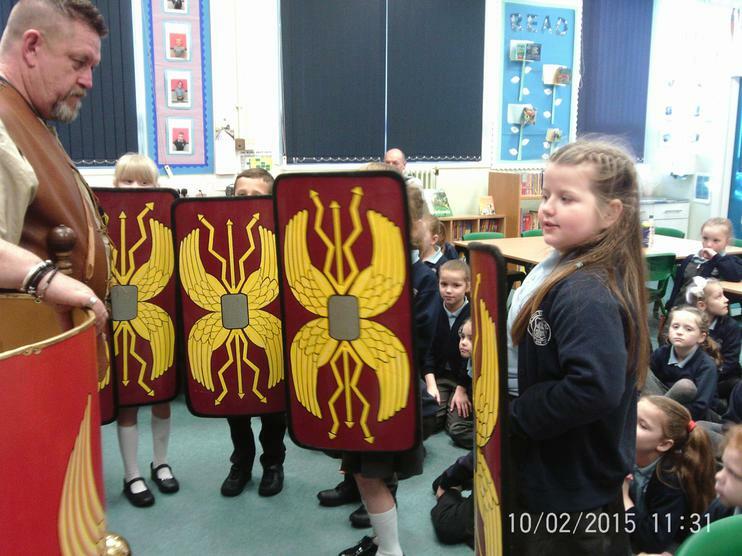 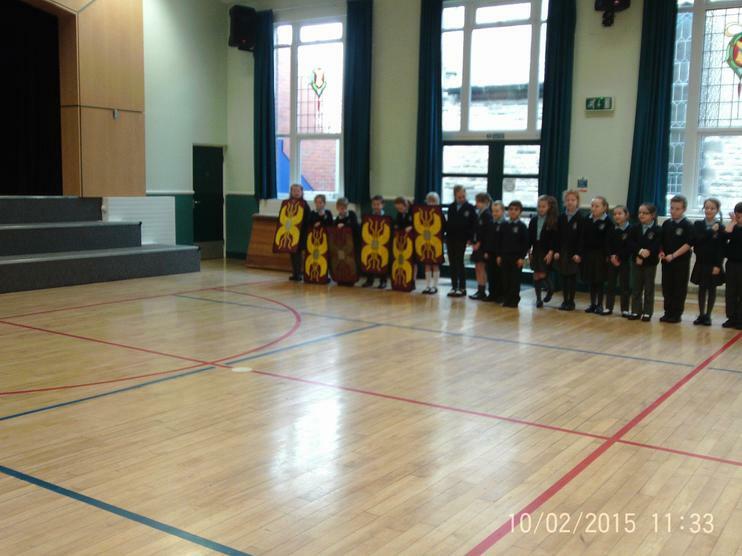 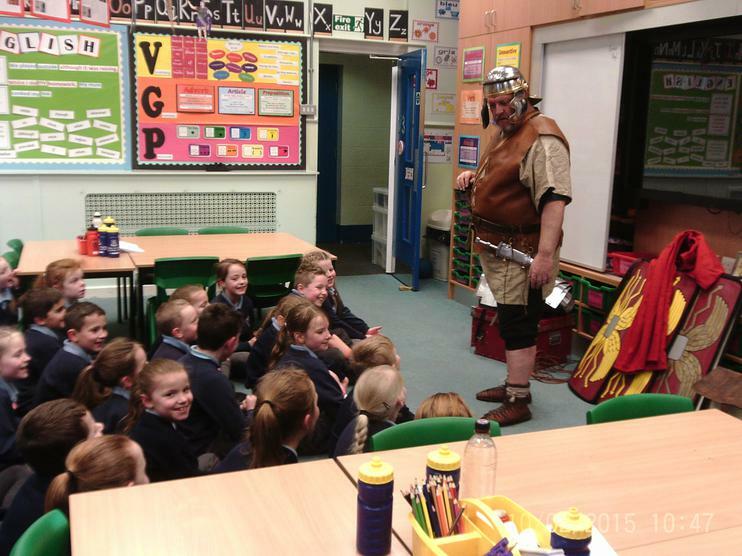 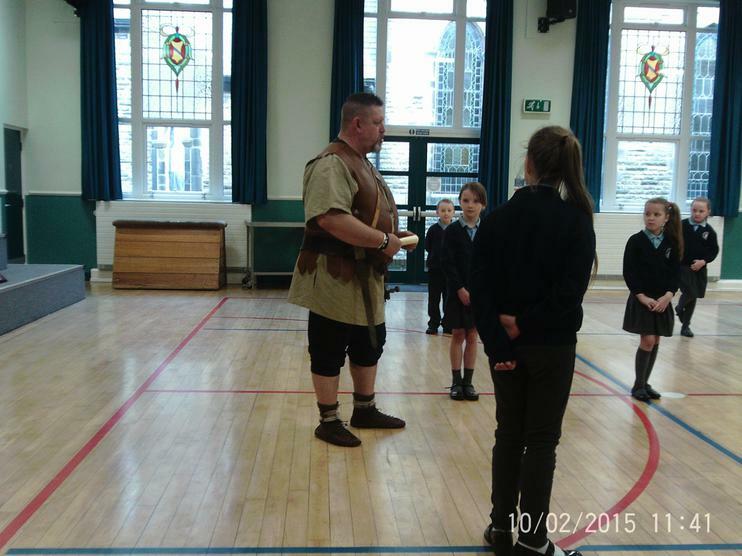 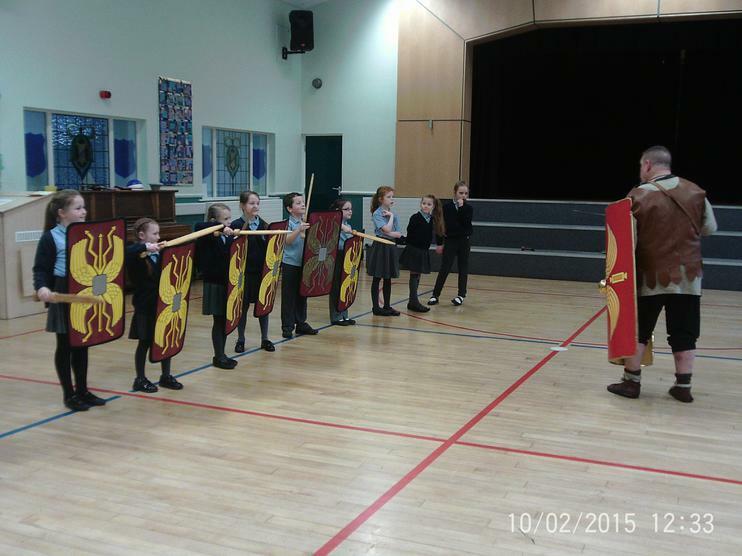 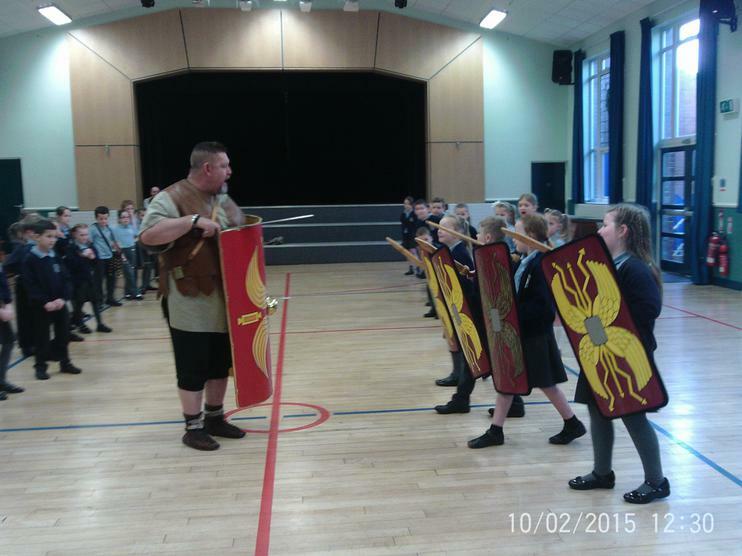 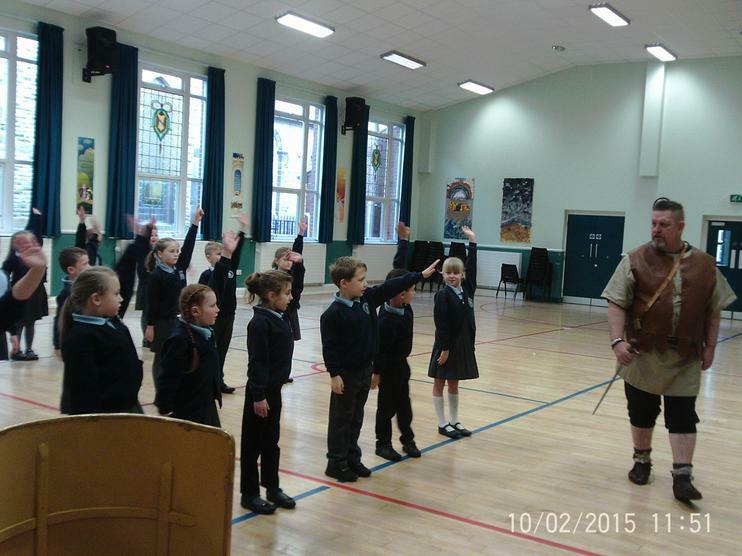 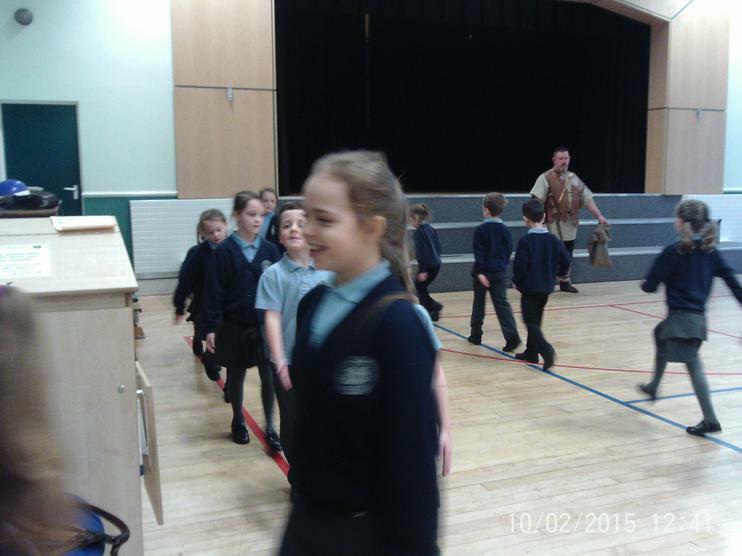 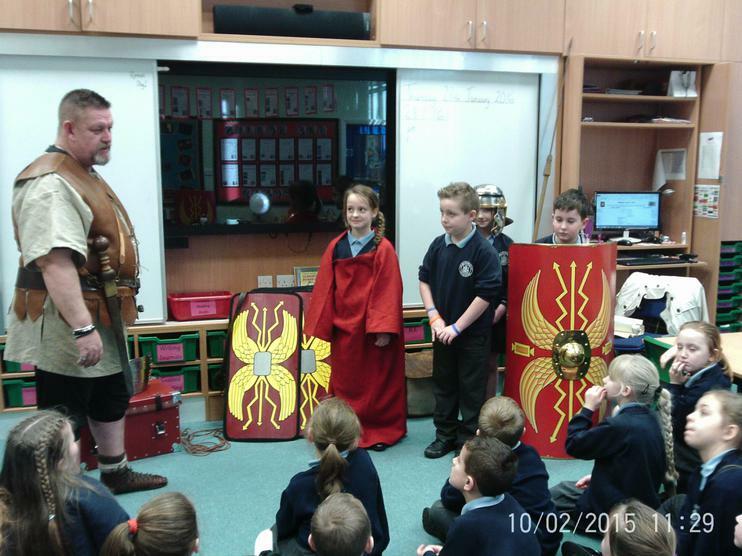 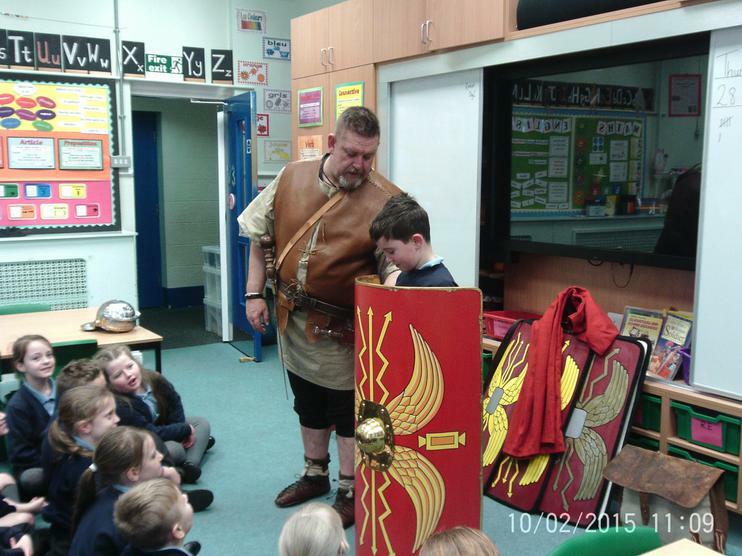 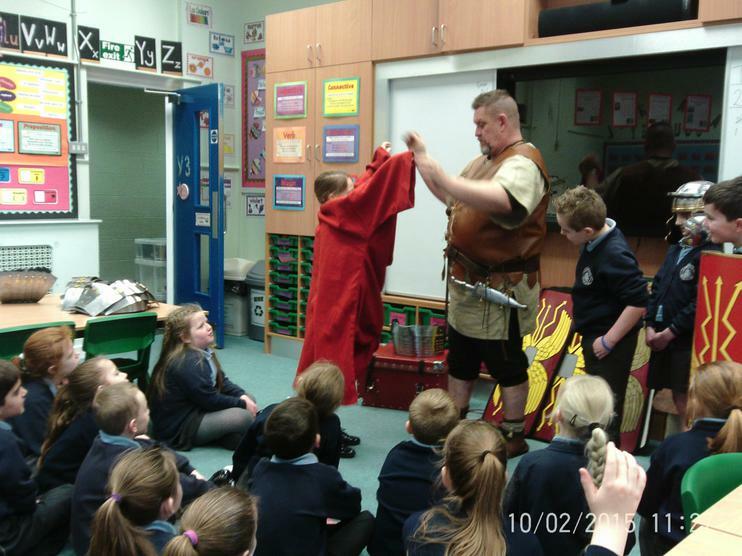 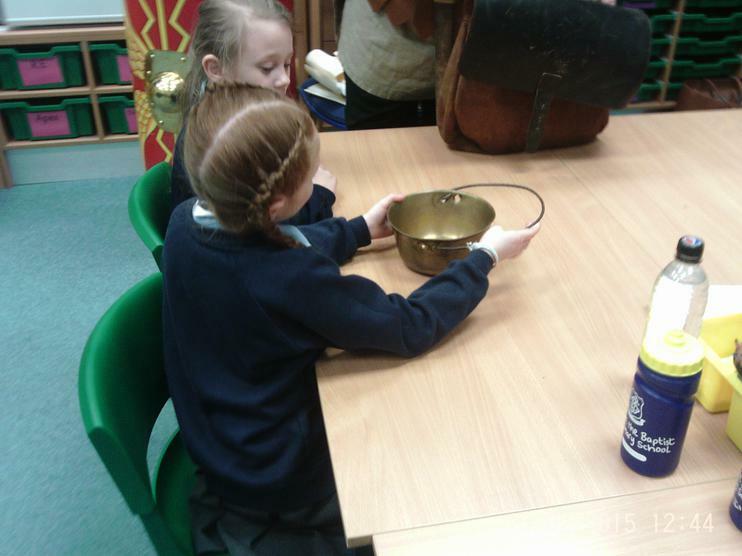 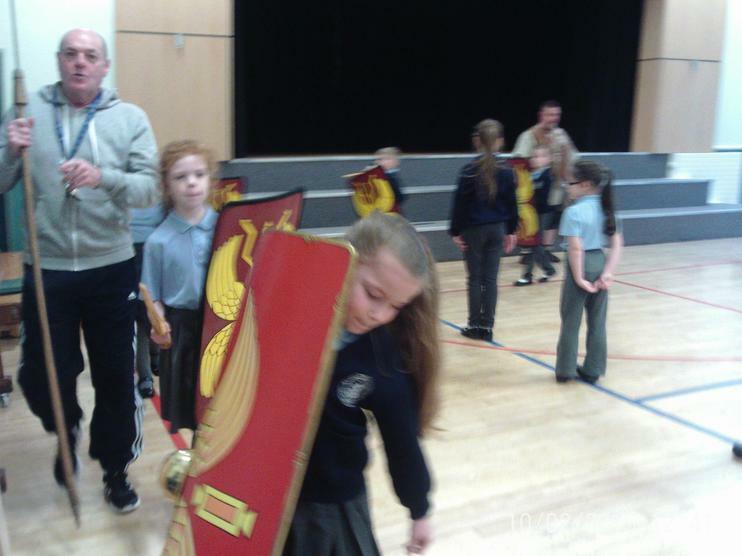 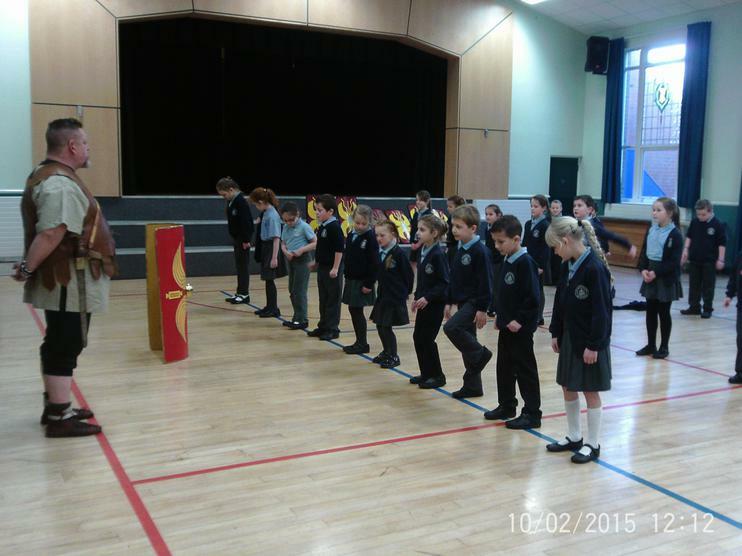 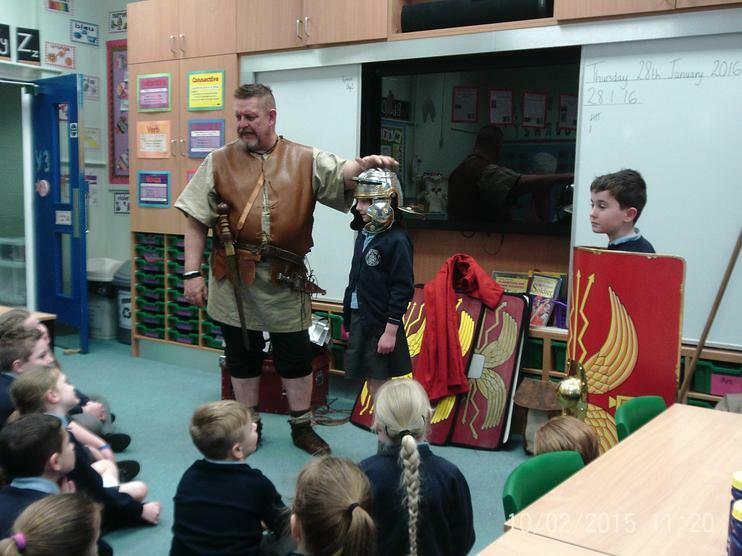 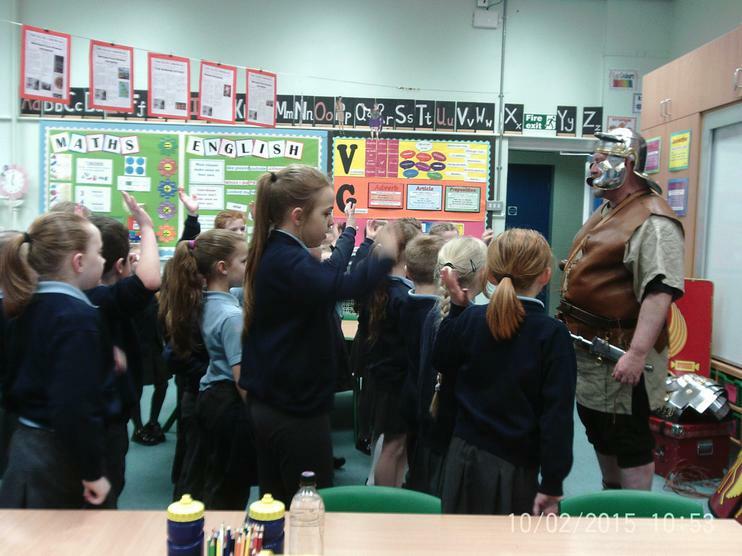 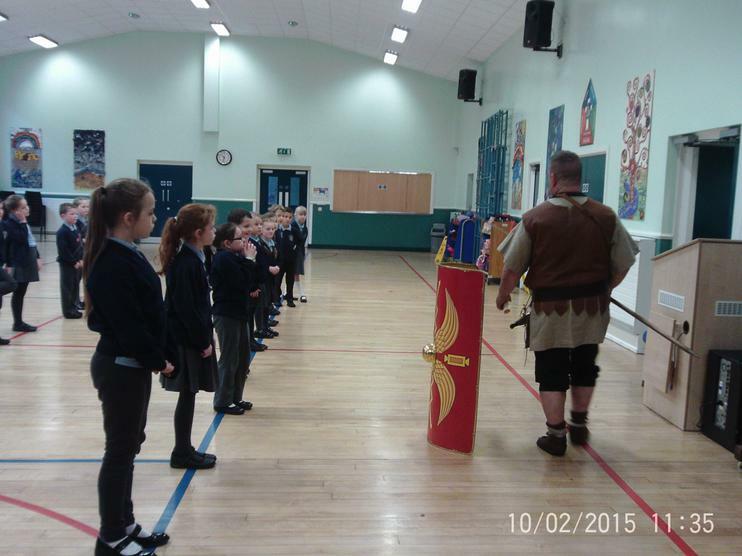 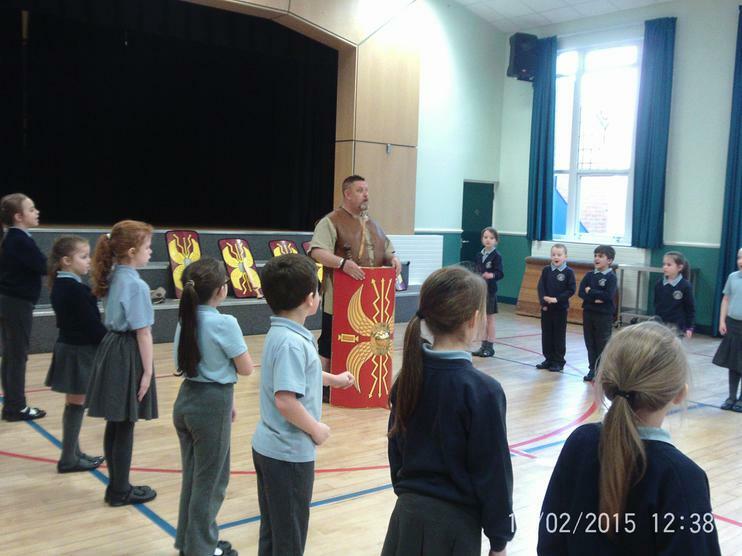 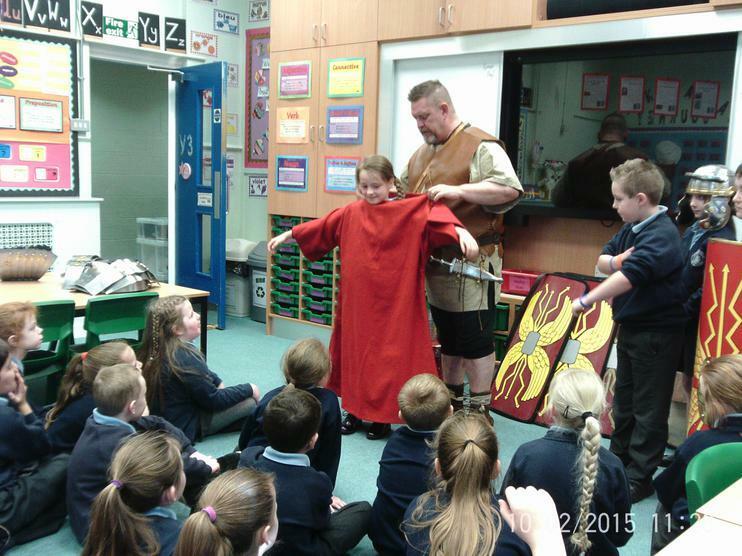 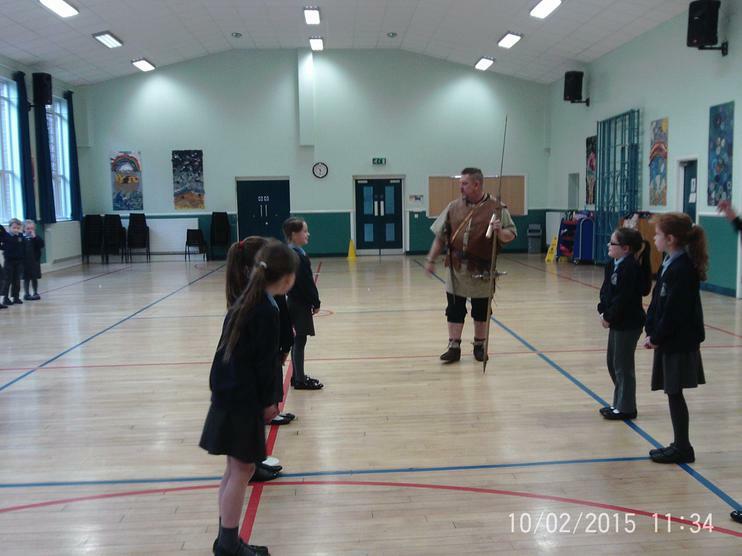 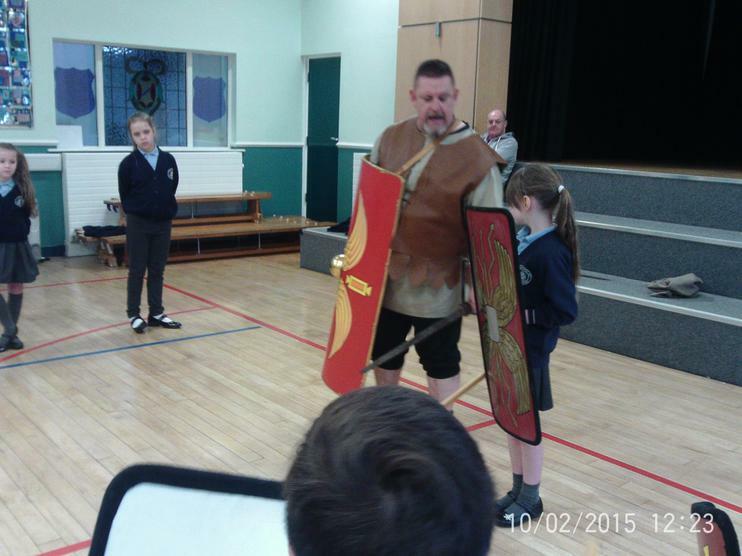 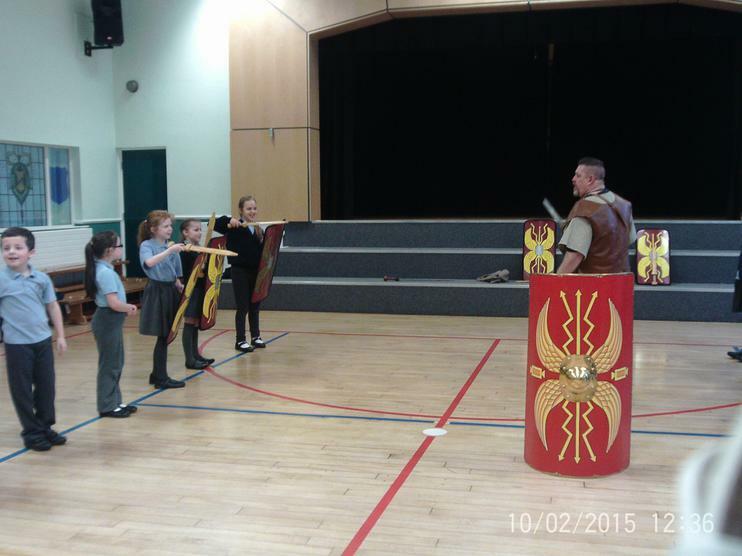 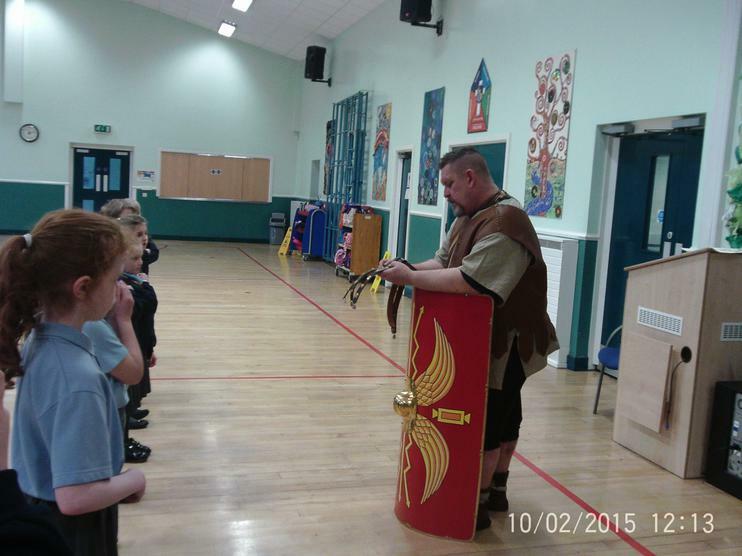 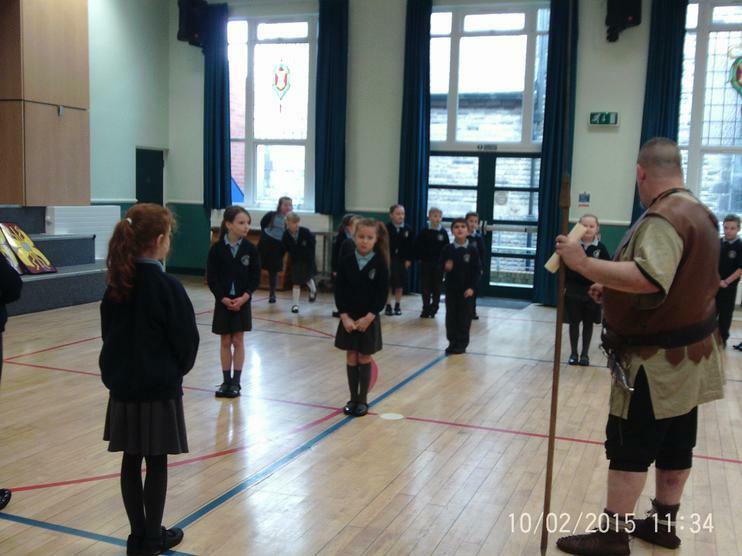 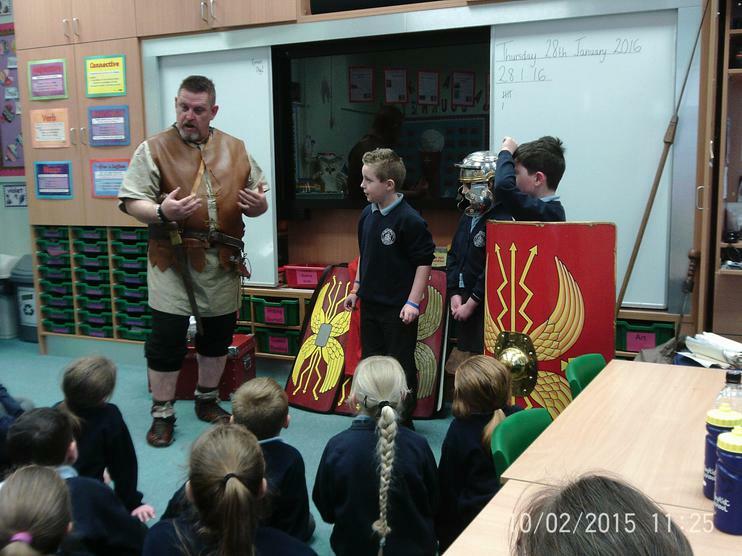 Today, Year 3 were incredibly lucky to have a visit from a real Roman Soldier. 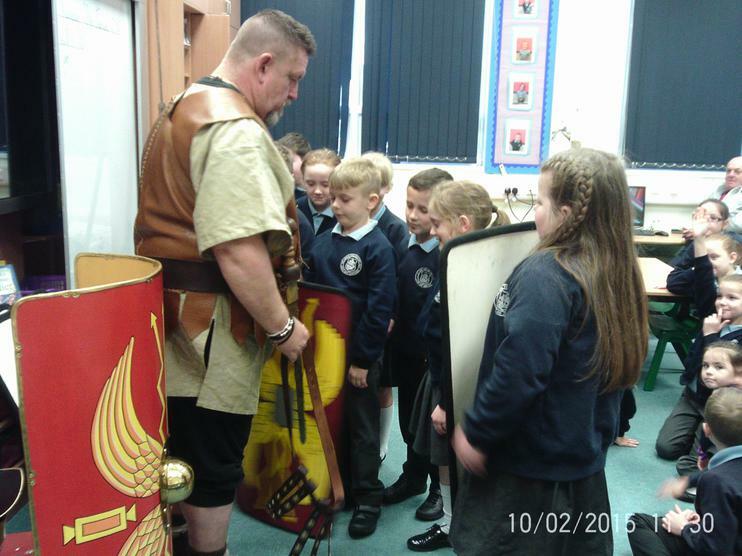 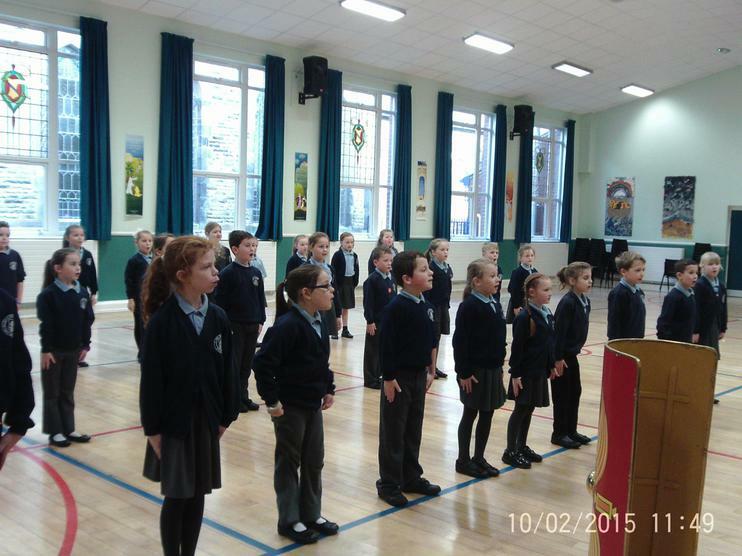 He showed us his uniform, his equipment, told us about his life and taught us how to march in Latin! 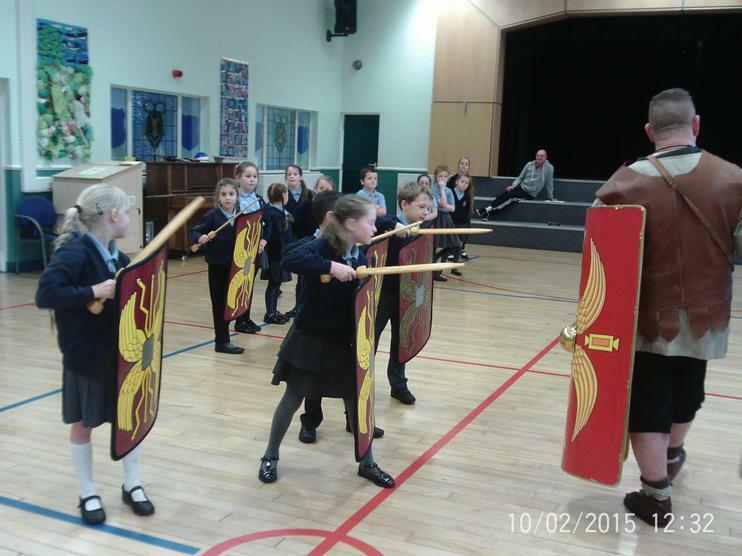 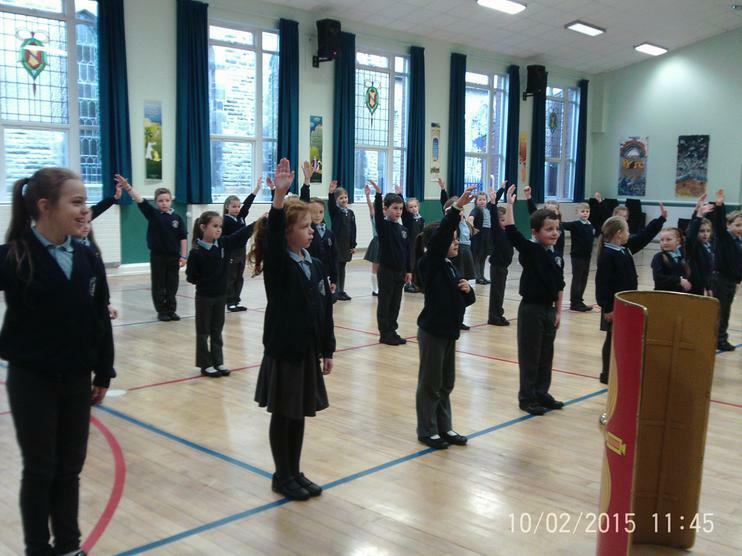 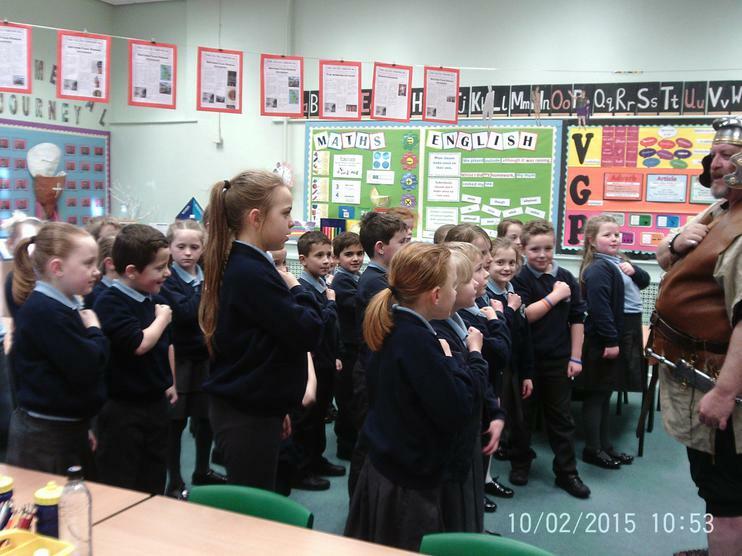 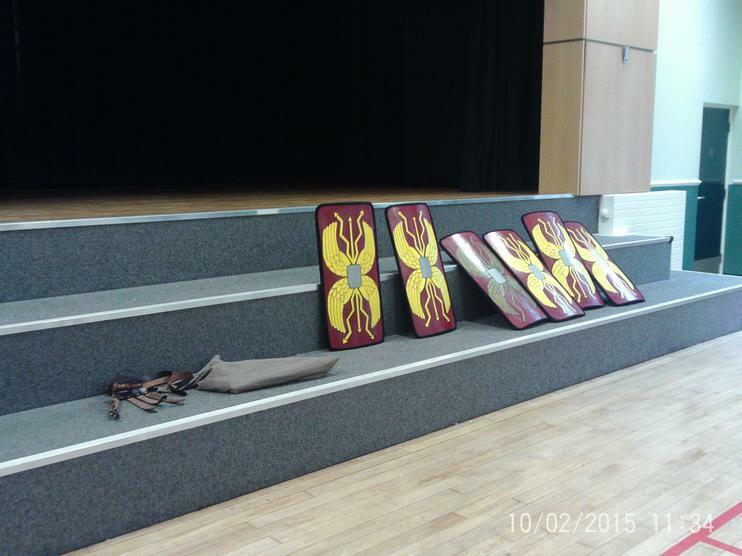 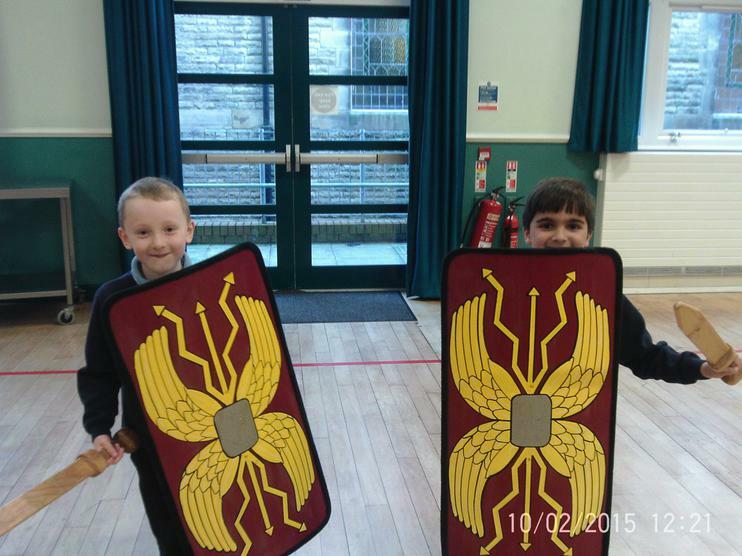 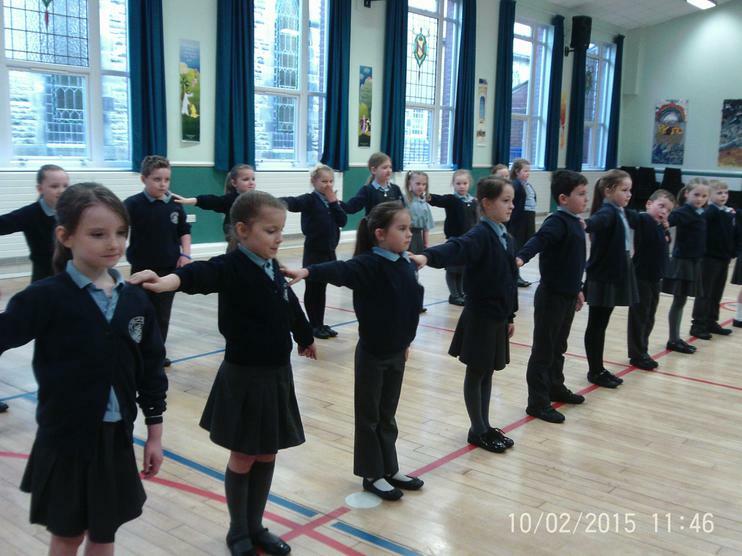 We would all make excellent soldiers and we are going to apply for the job of a Roman Soldier in our writing tomorrow. 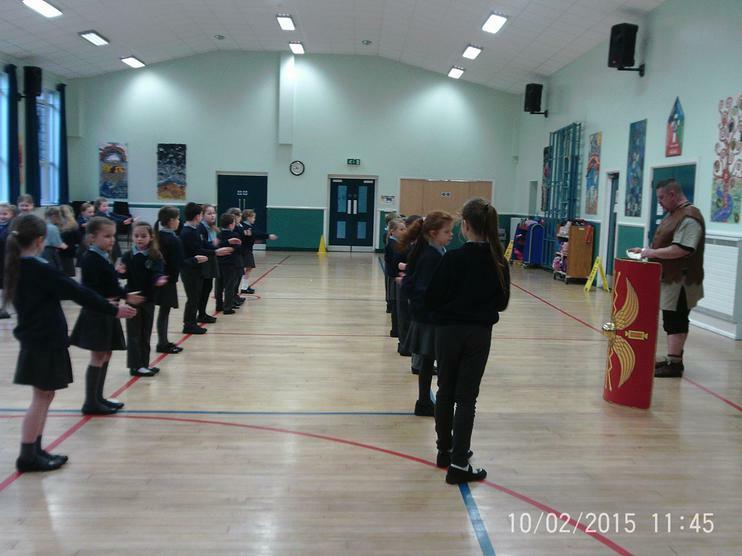 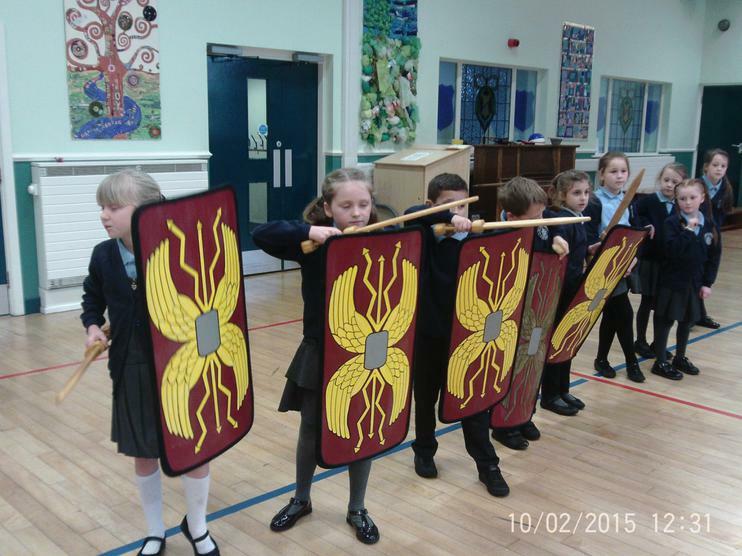 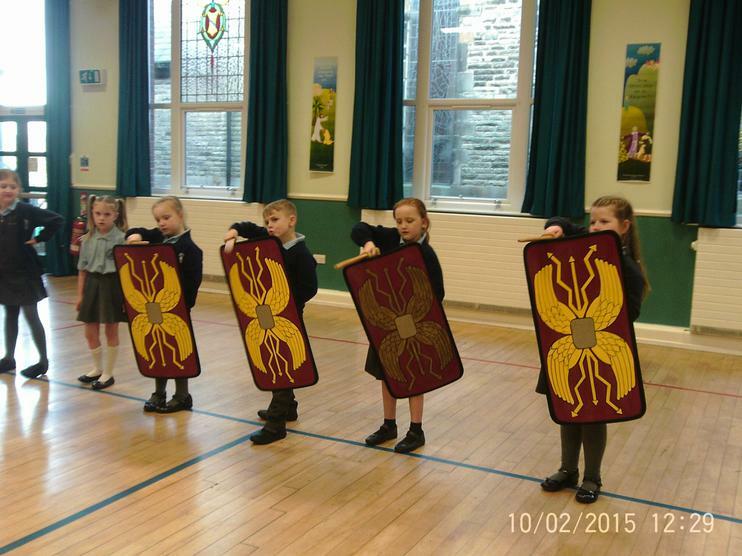 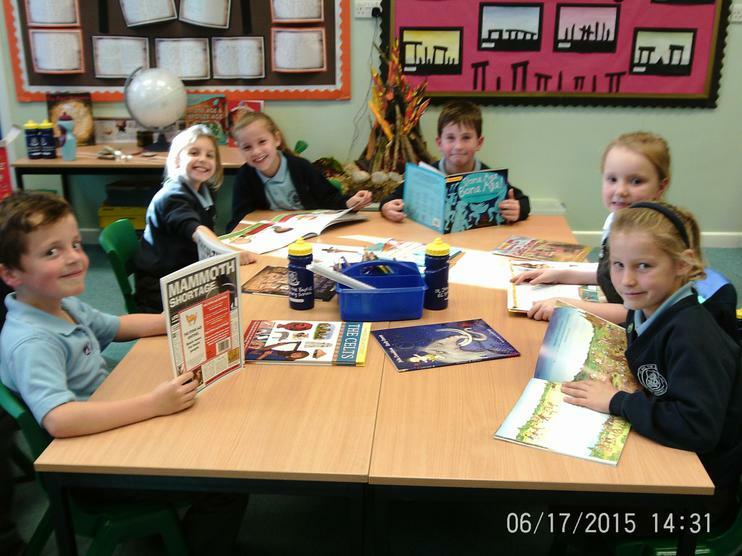 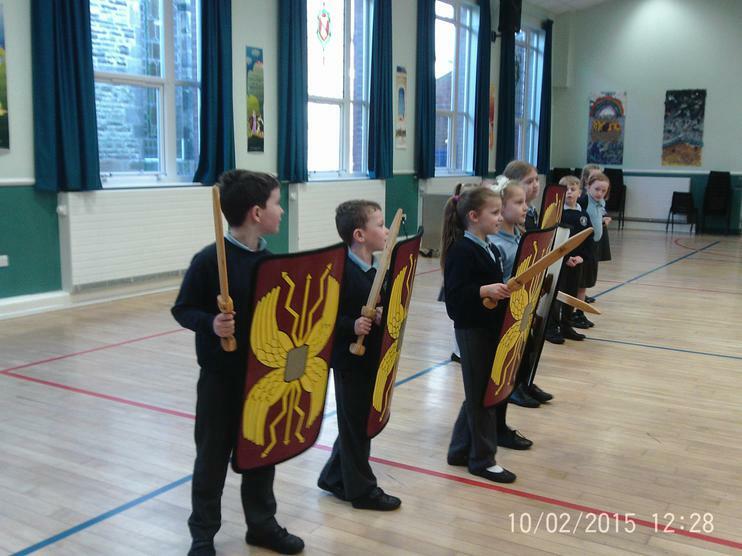 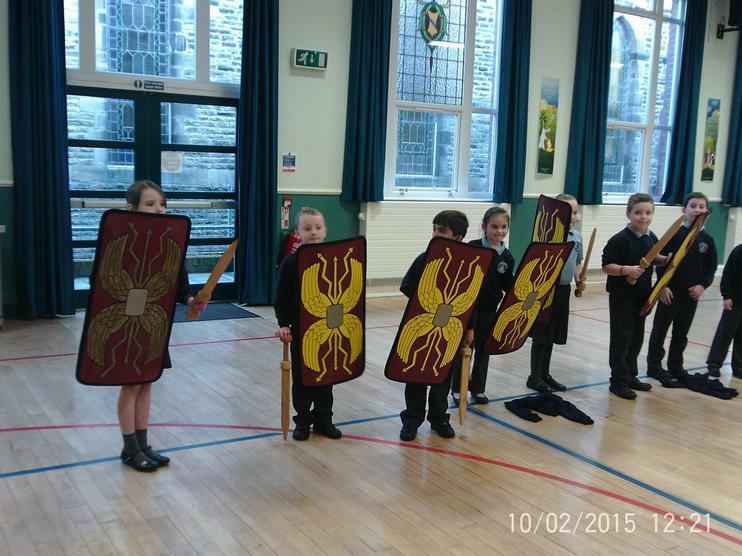 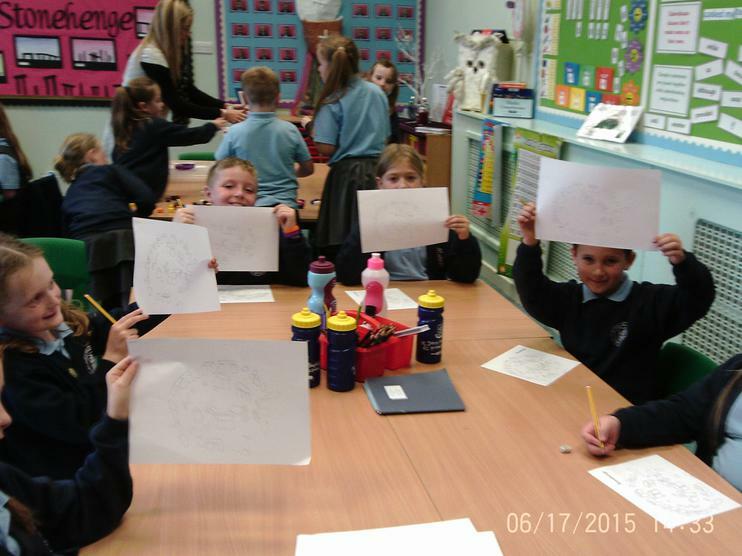 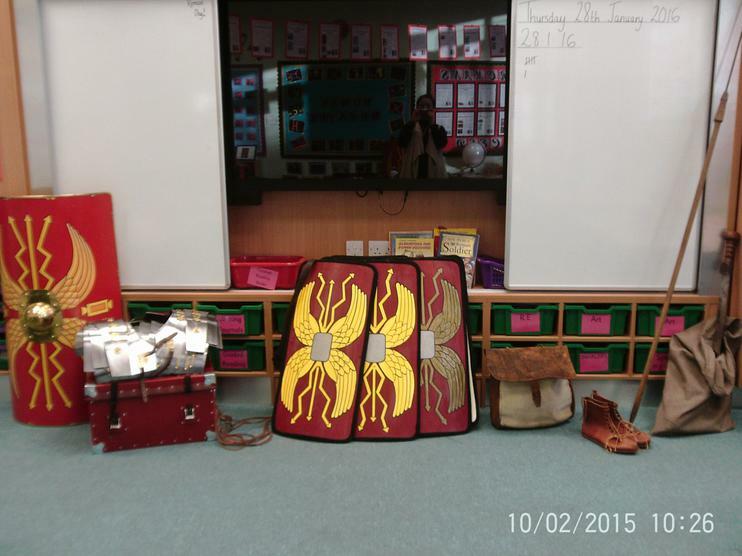 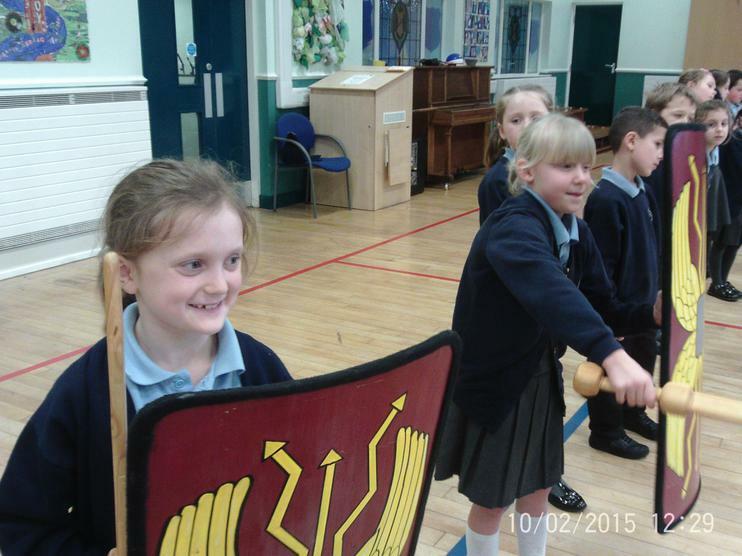 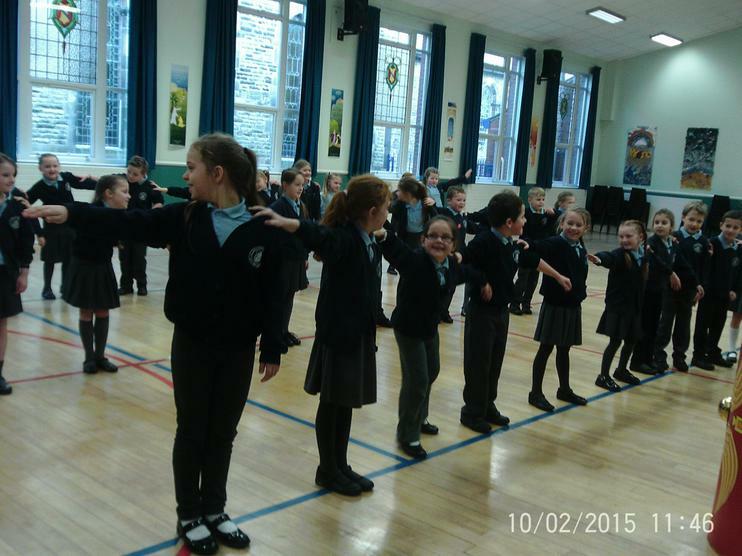 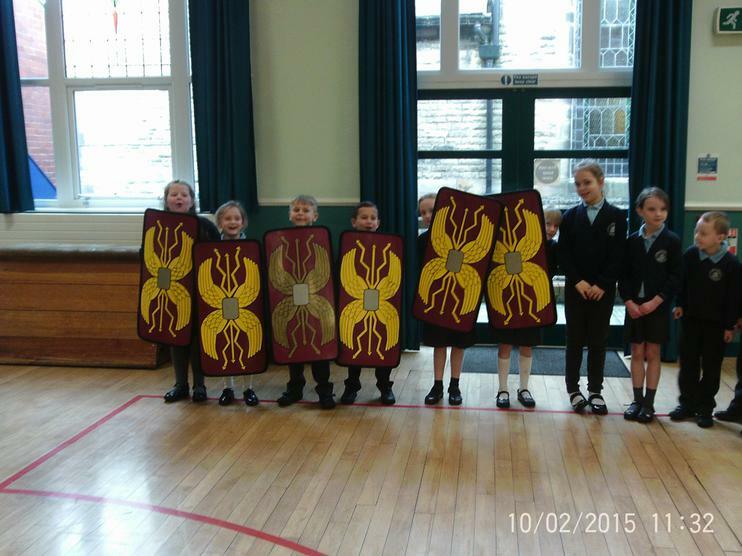 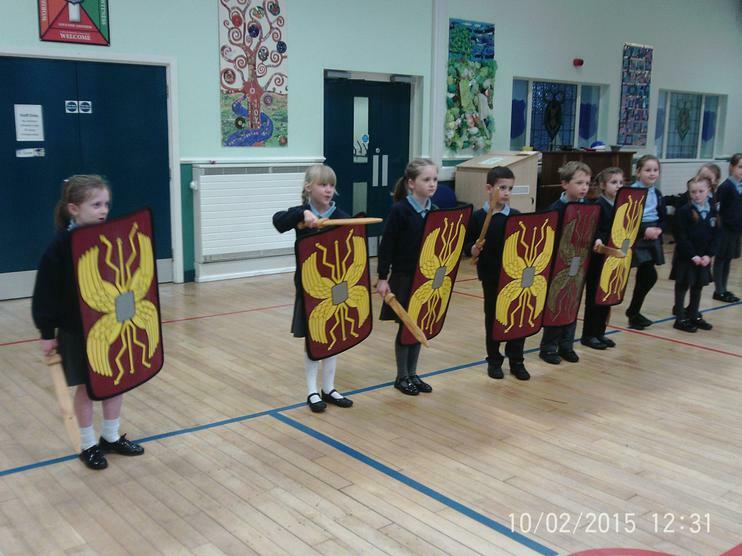 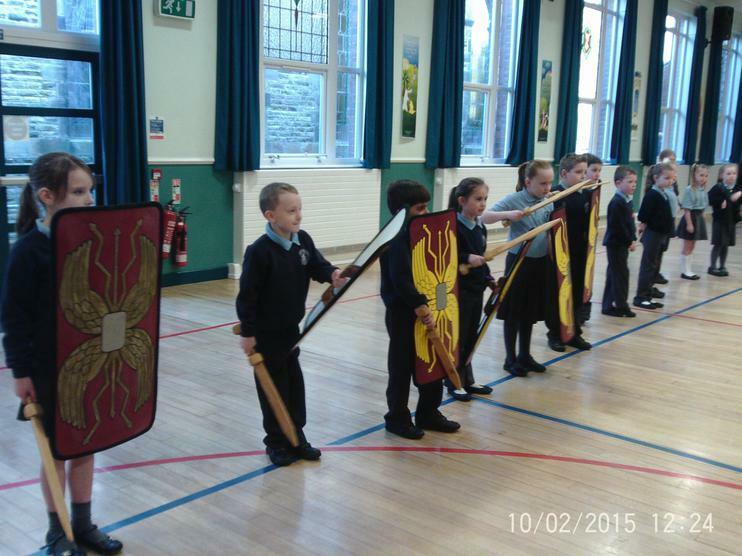 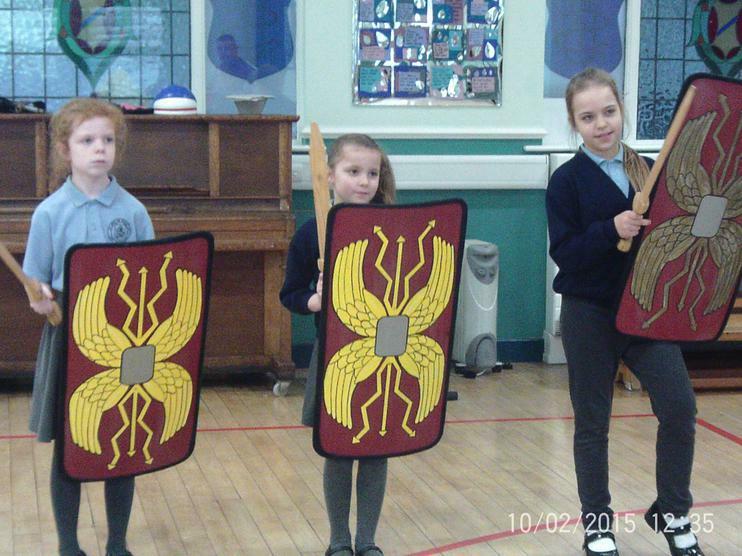 Our topic this half term is the Romans and we are having so much fun learning about it. 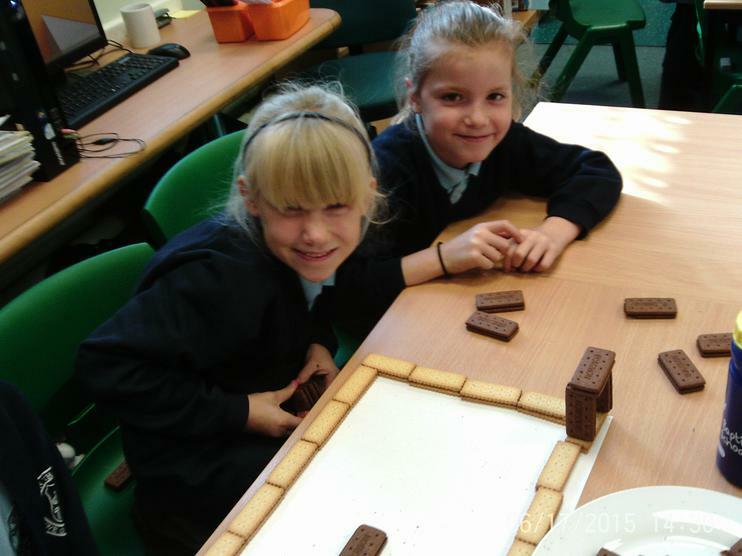 Look at our wonderful mosaics. 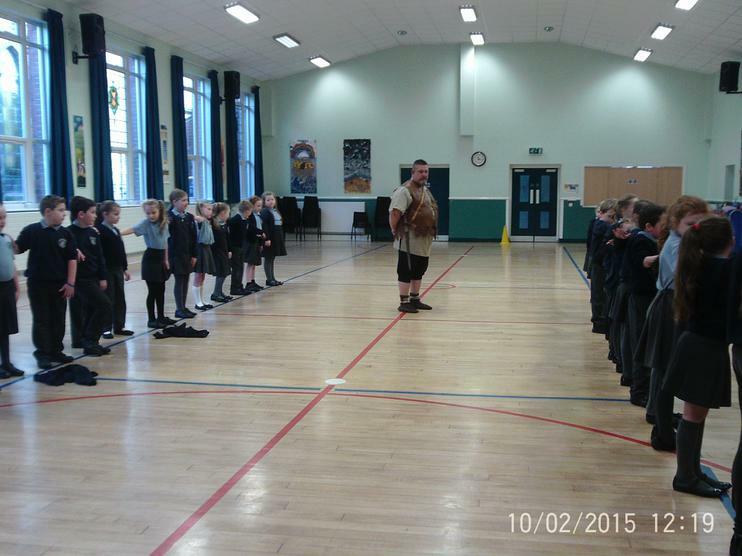 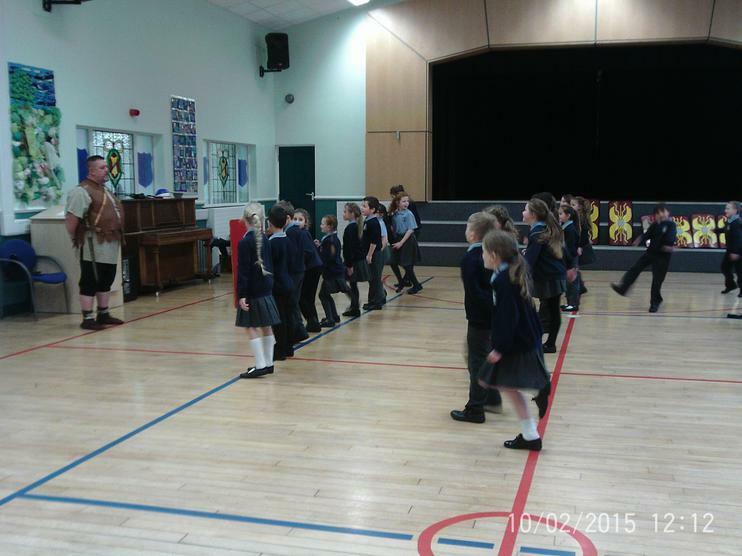 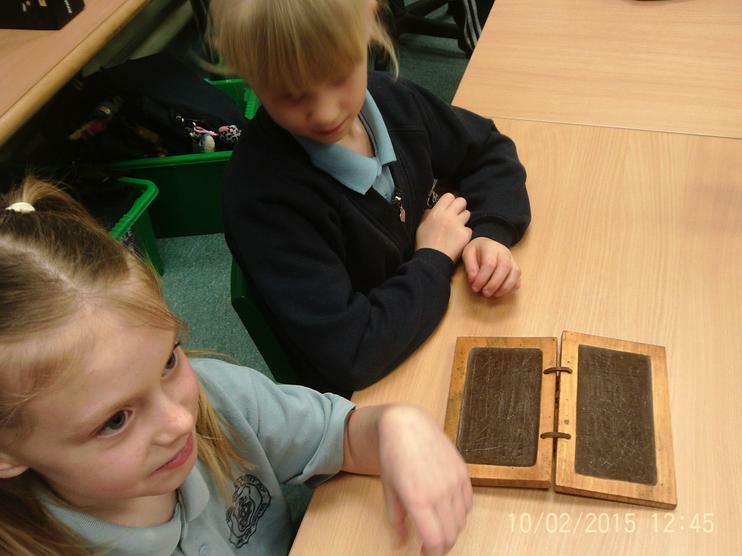 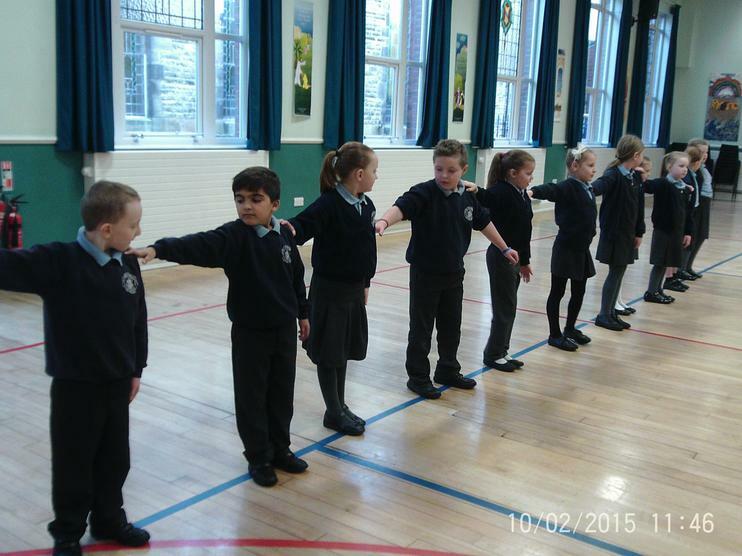 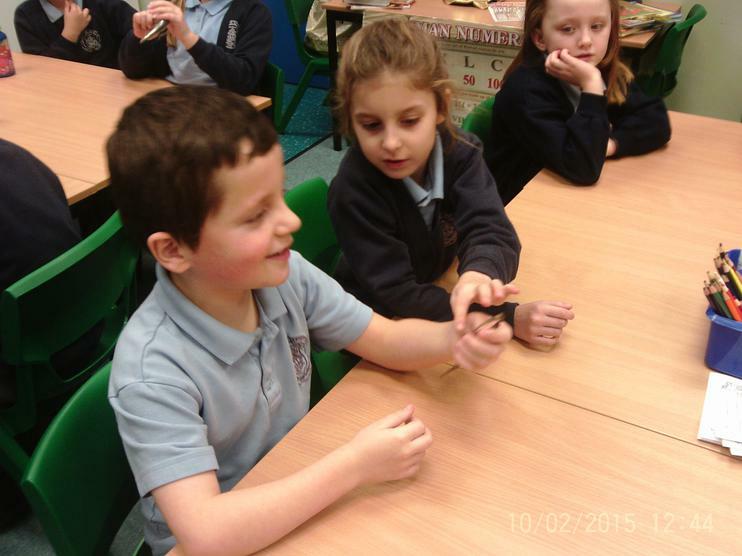 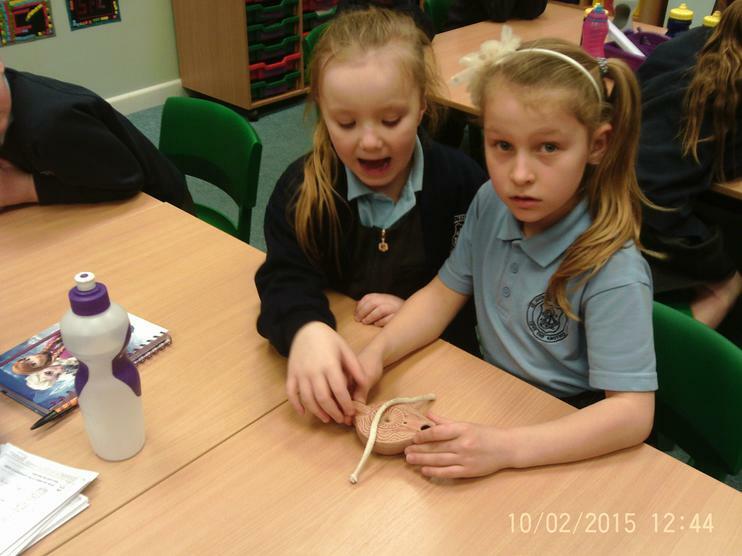 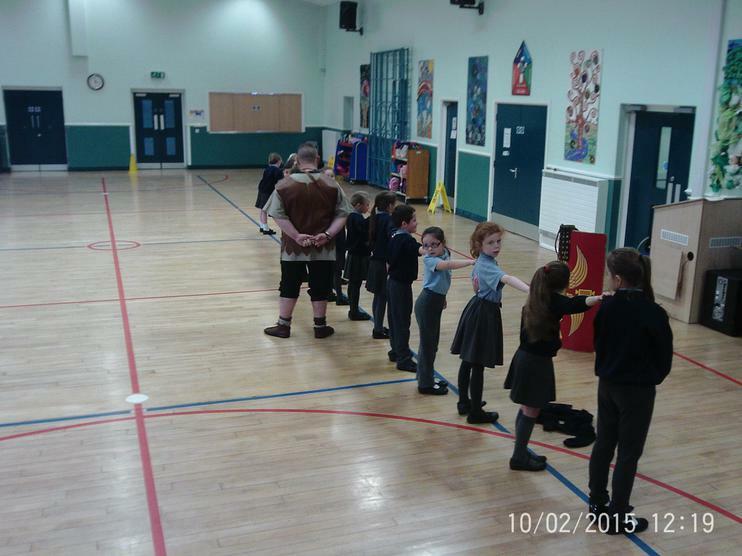 Our topic this half term is the Stone Age. 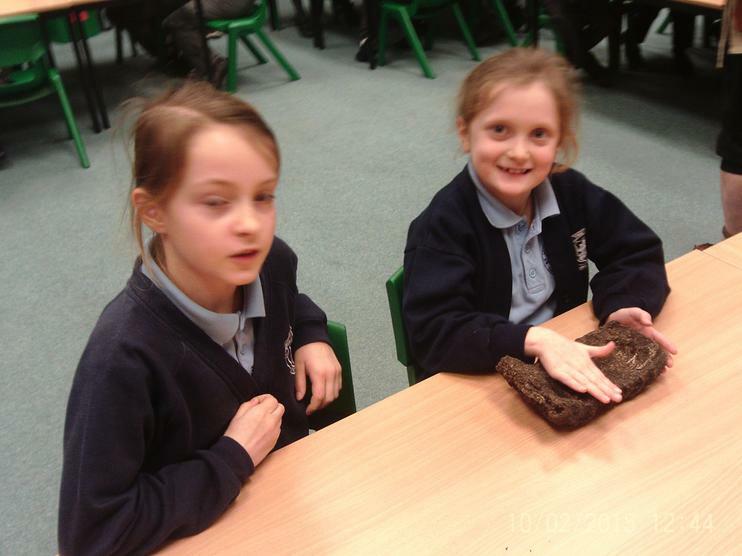 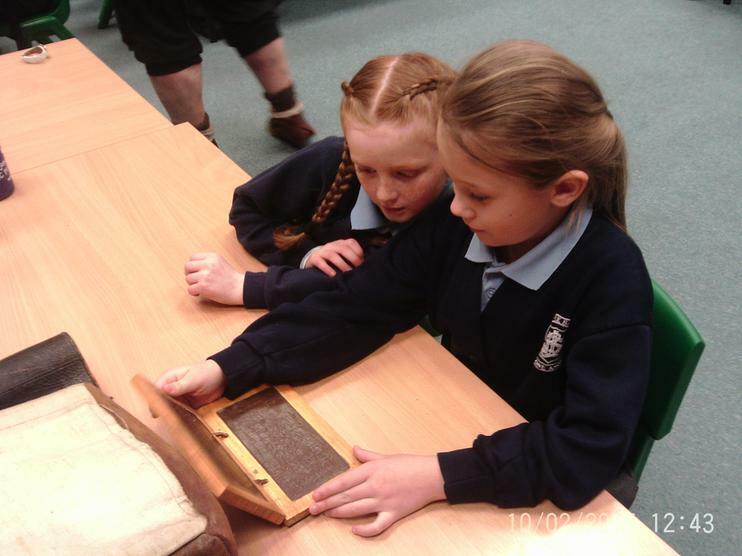 We have learnt so much and find life back then exciting! 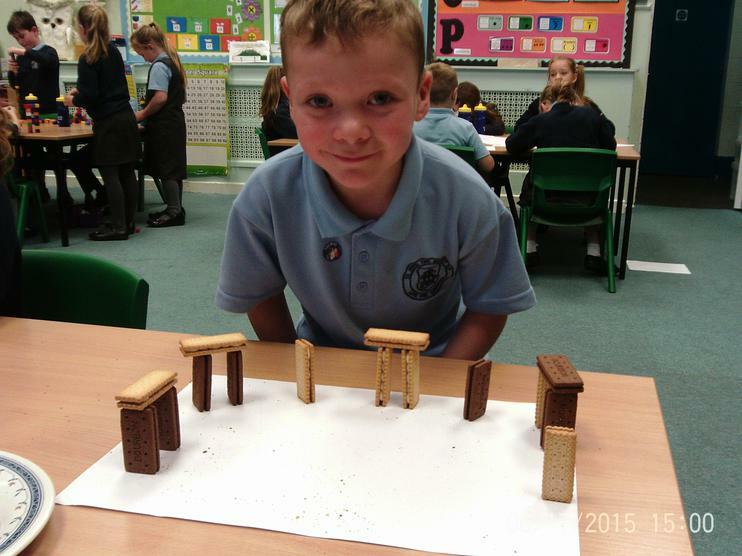 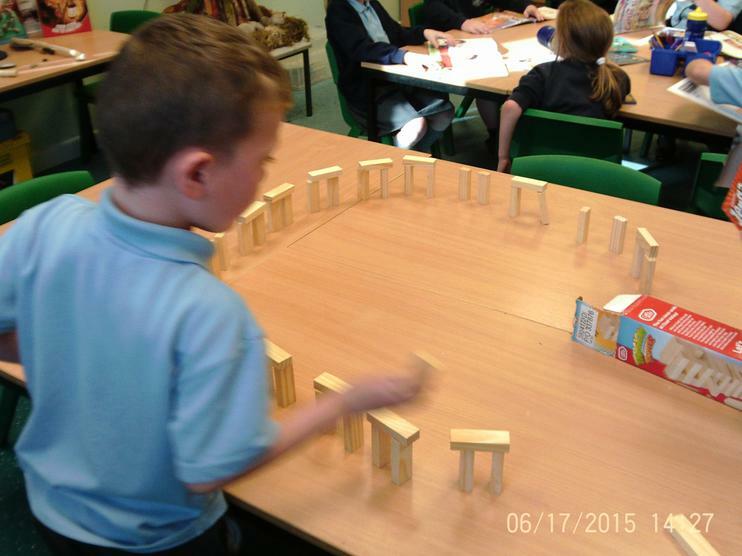 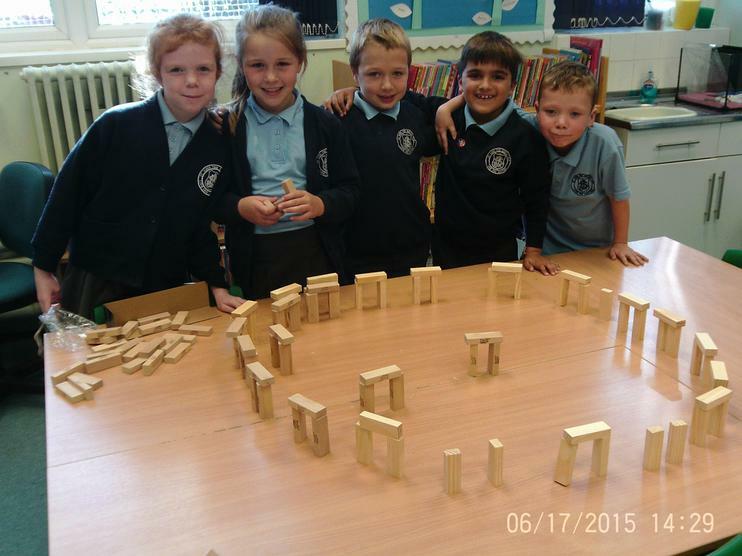 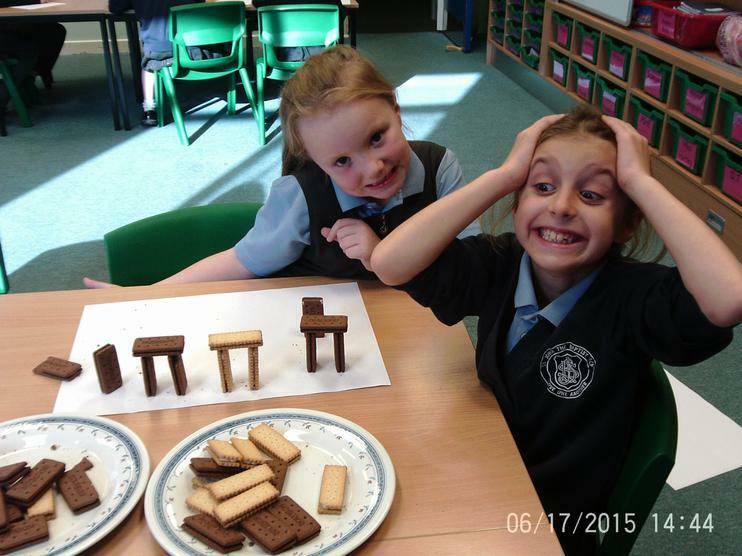 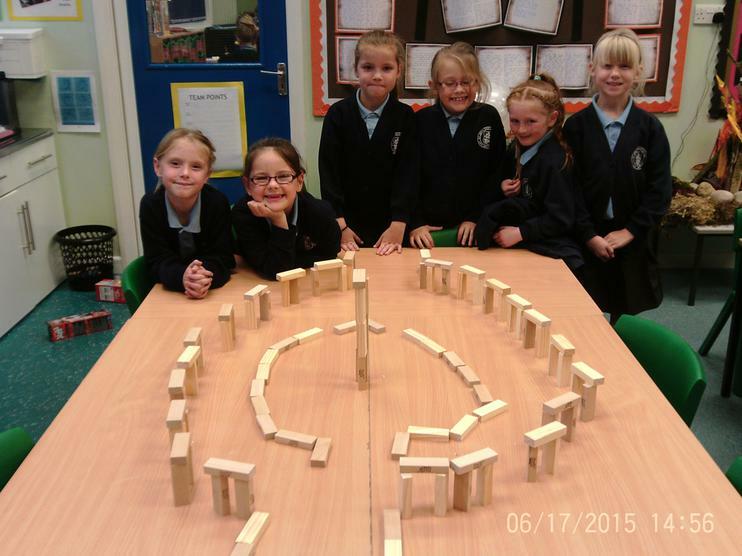 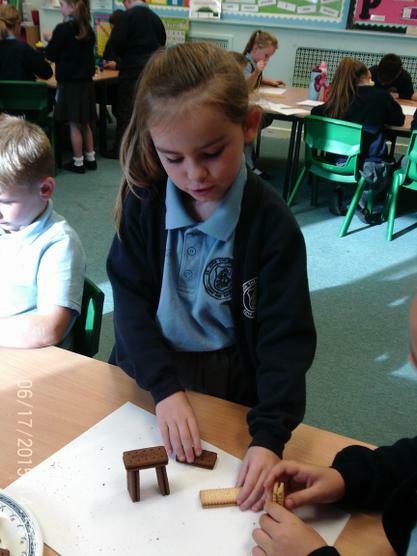 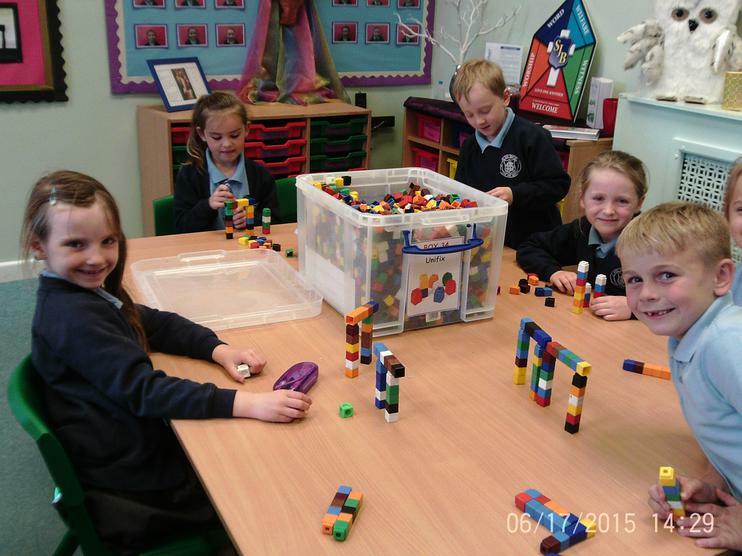 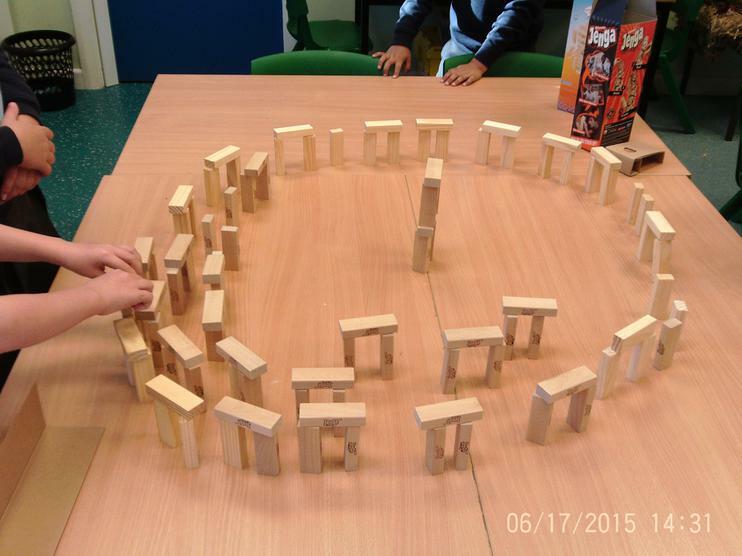 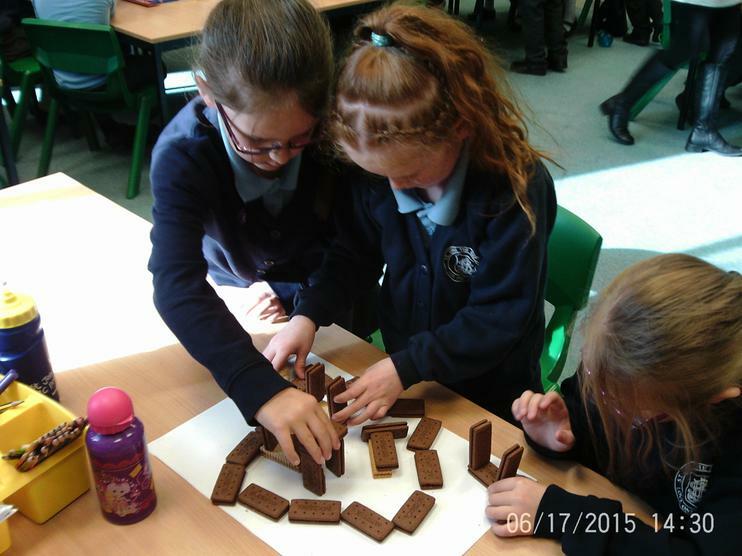 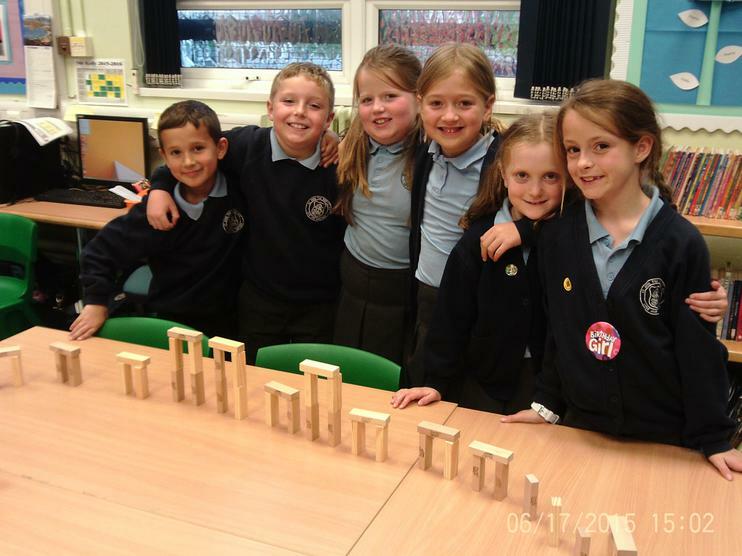 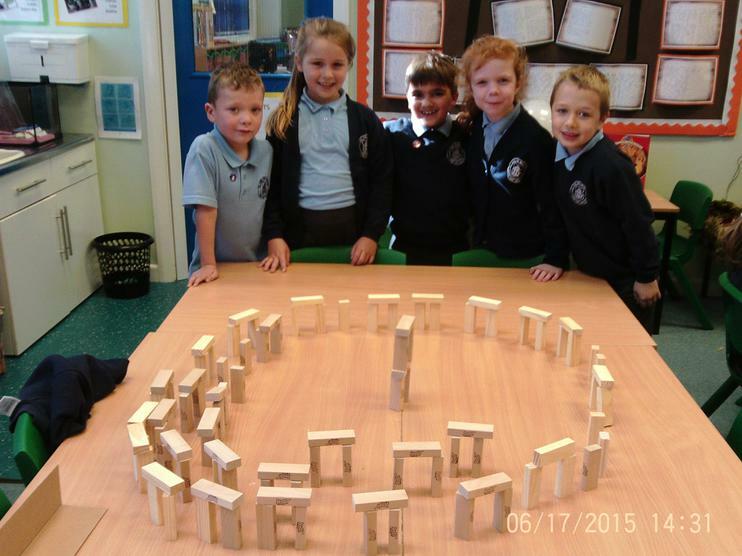 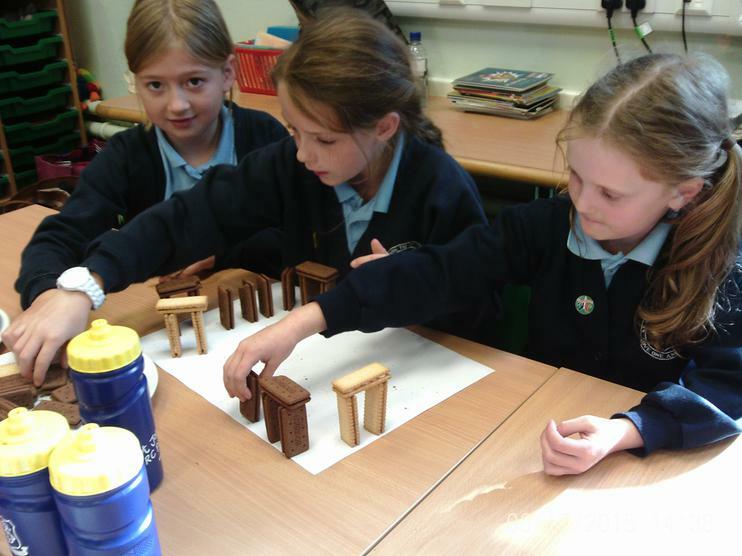 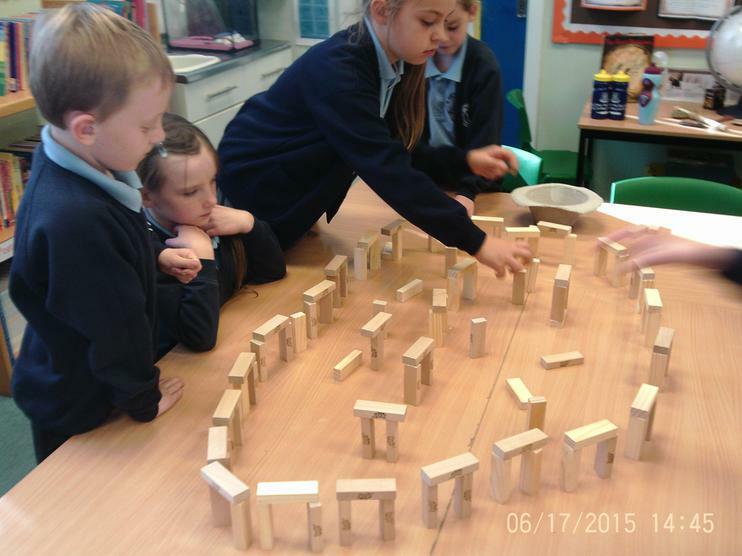 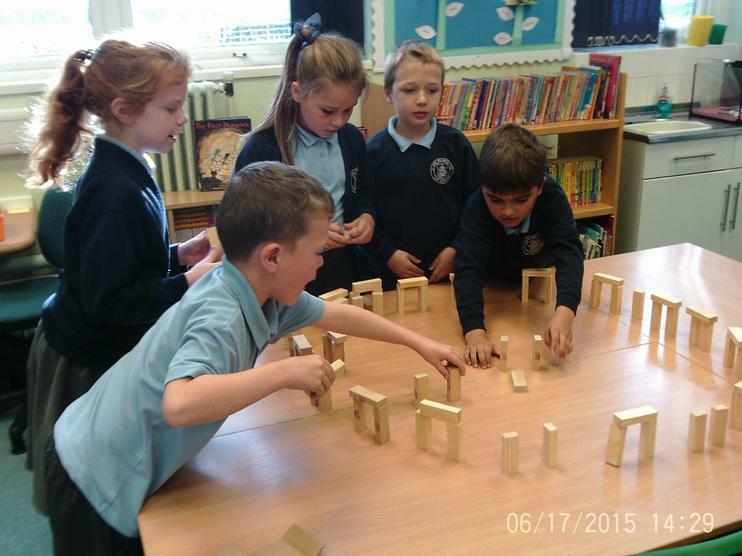 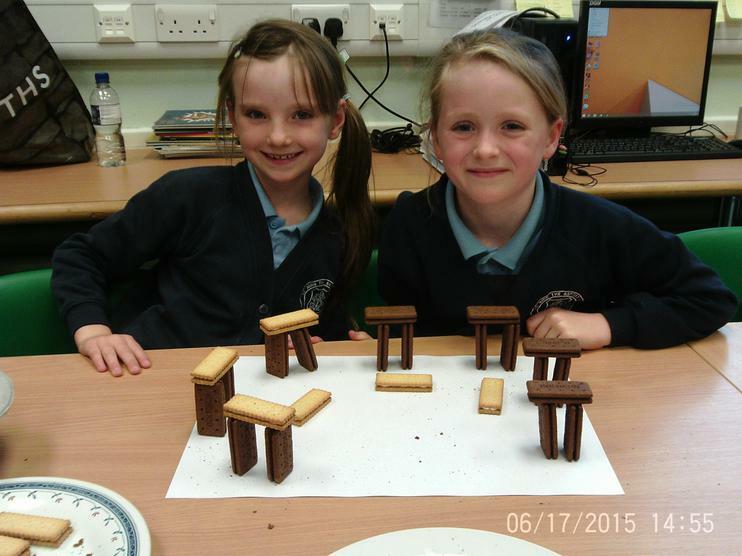 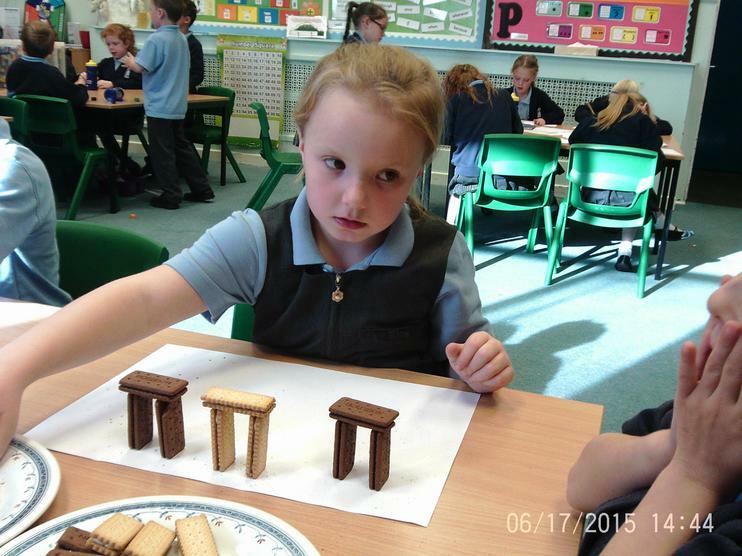 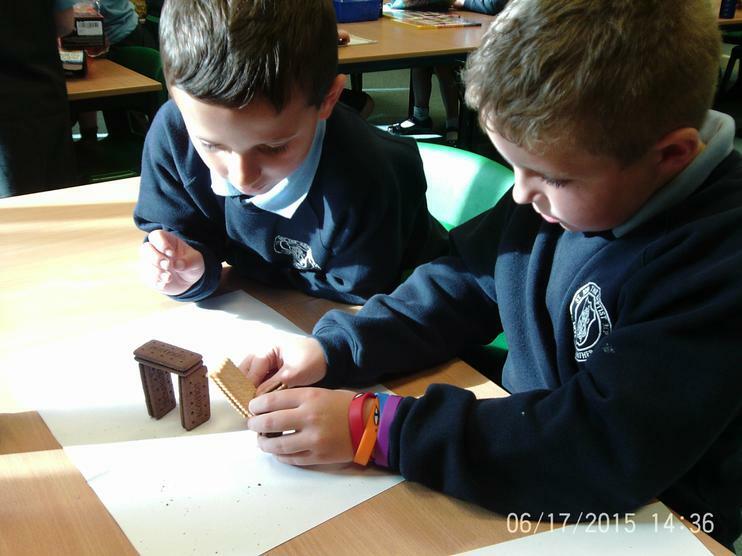 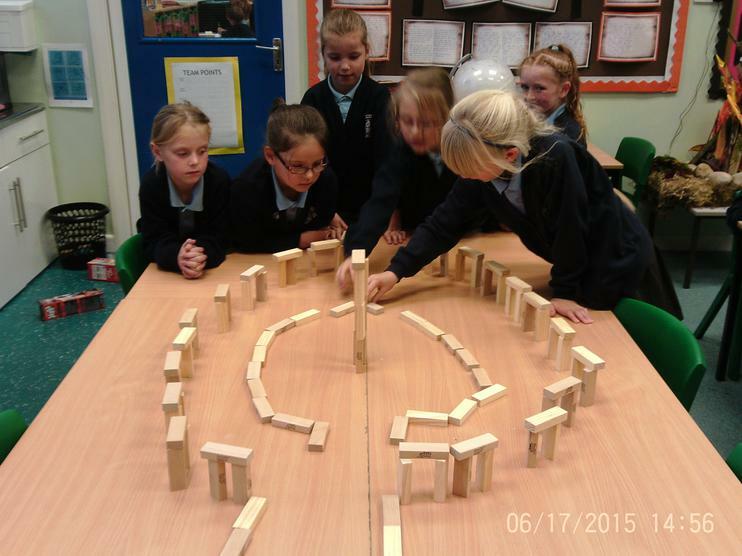 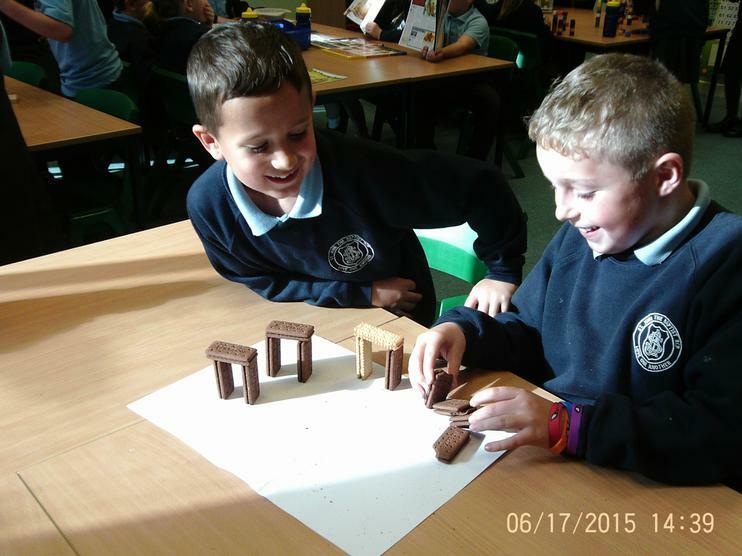 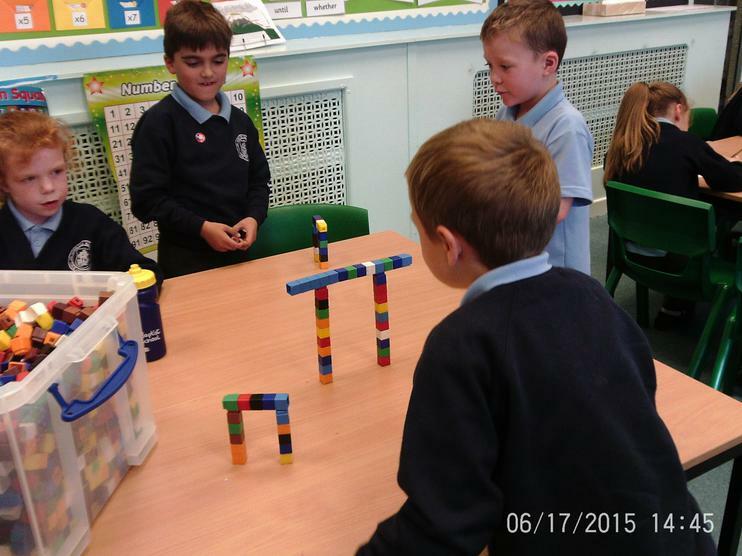 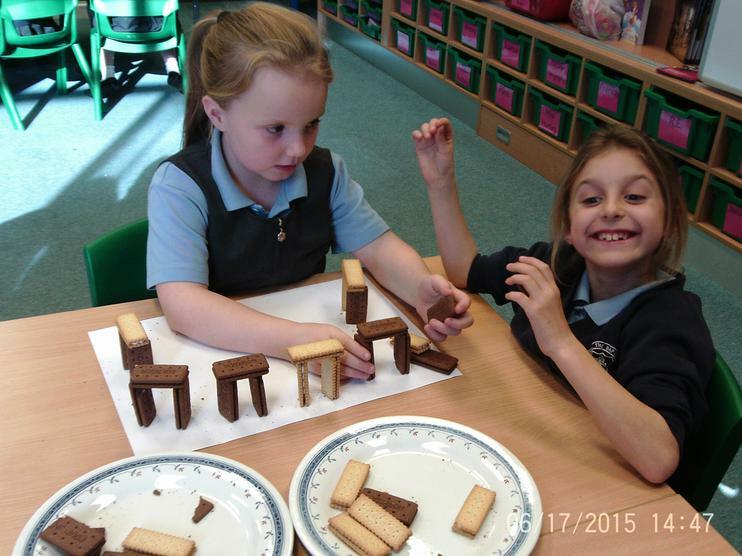 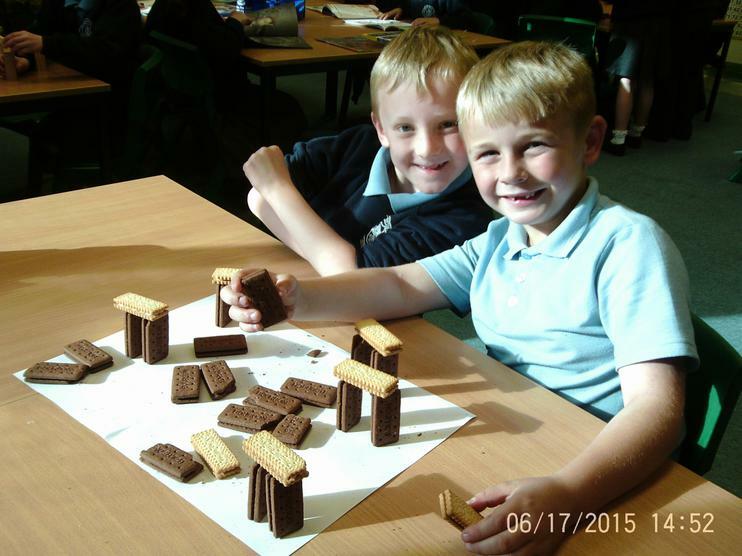 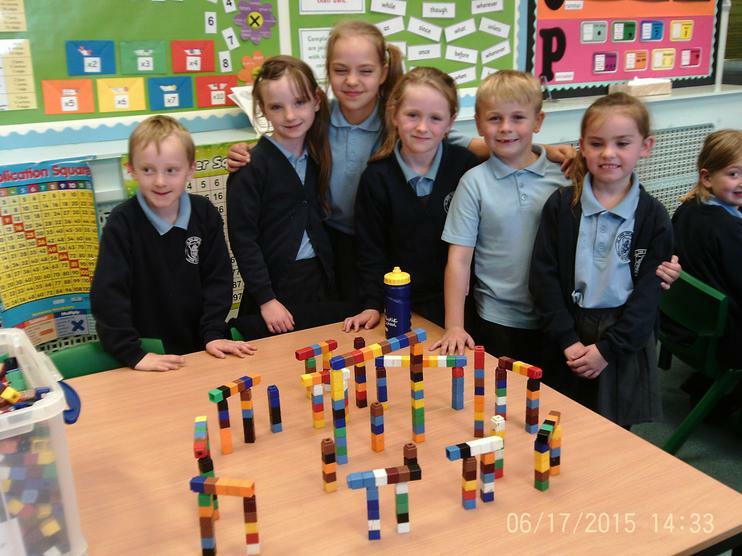 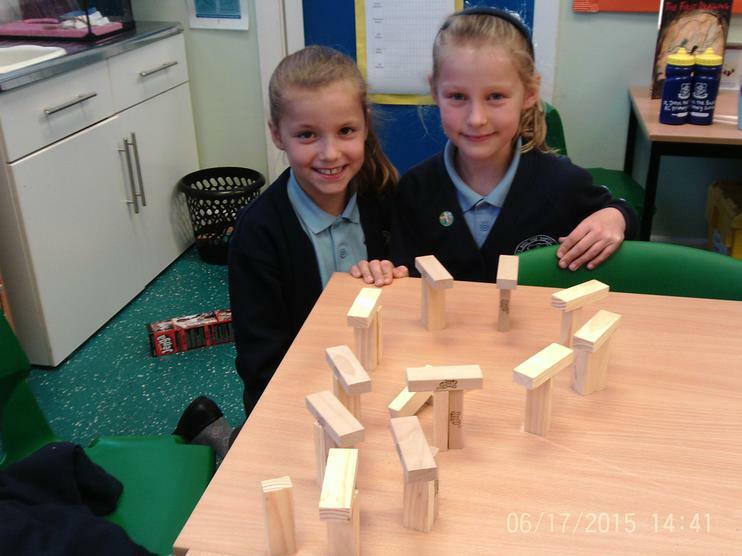 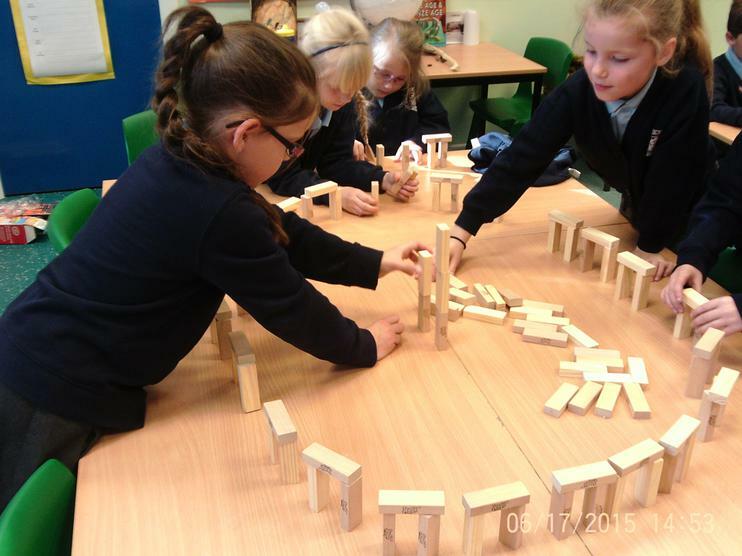 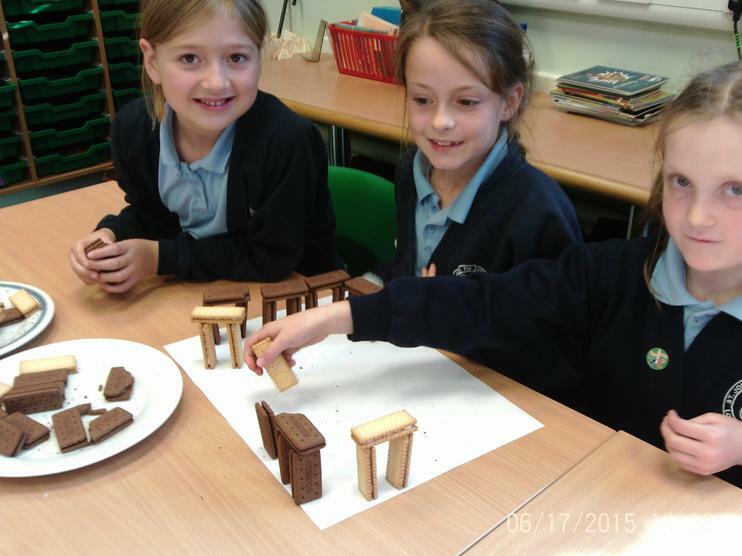 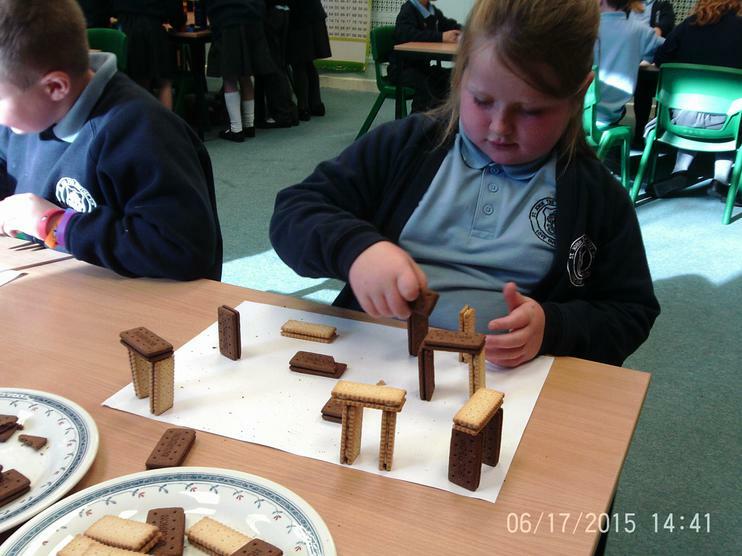 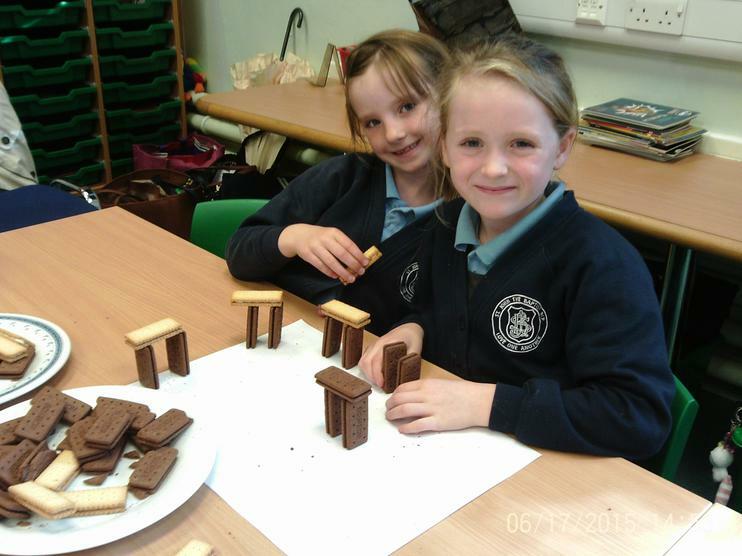 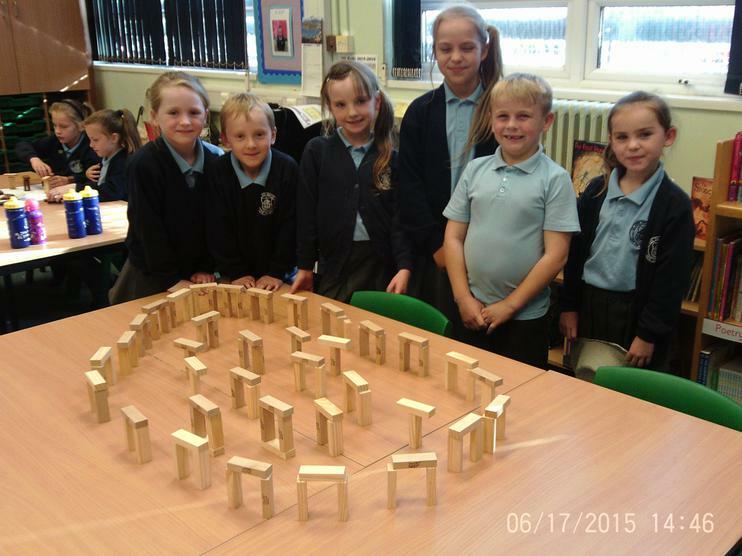 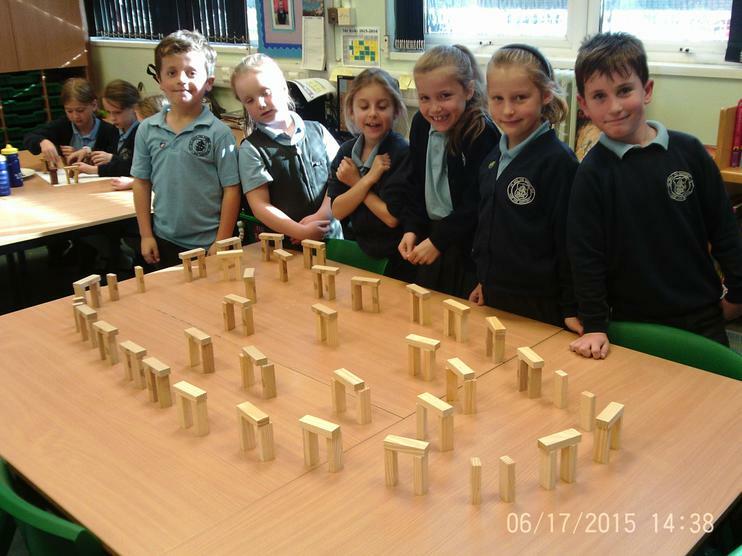 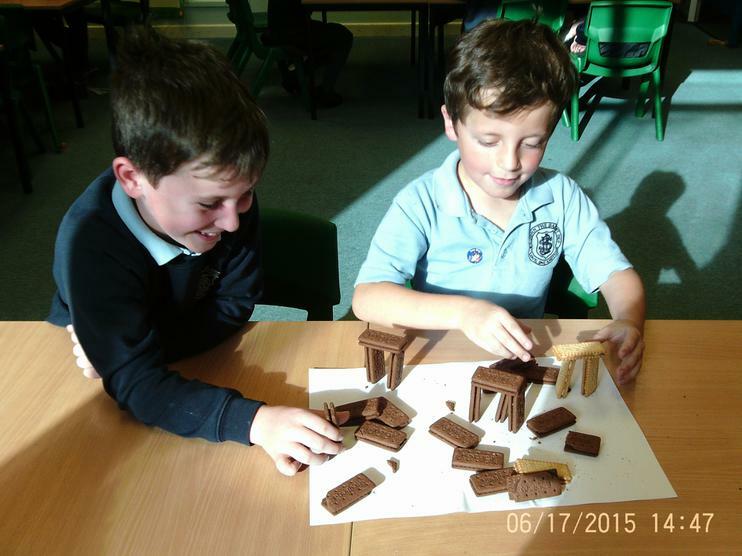 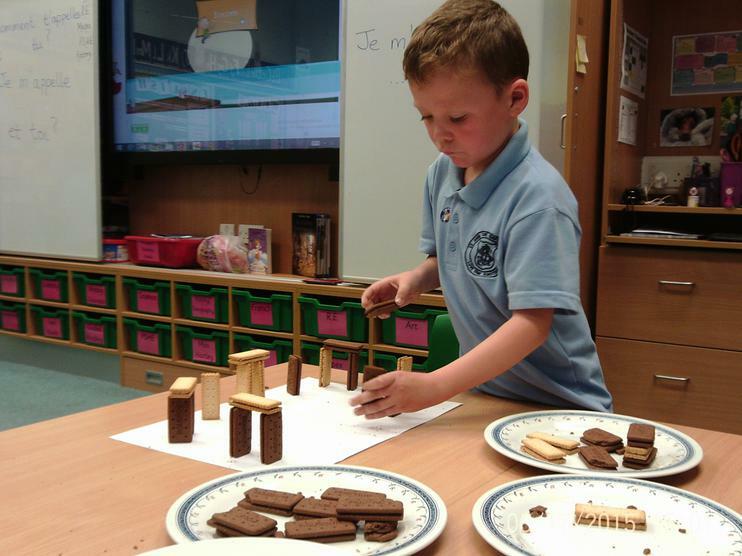 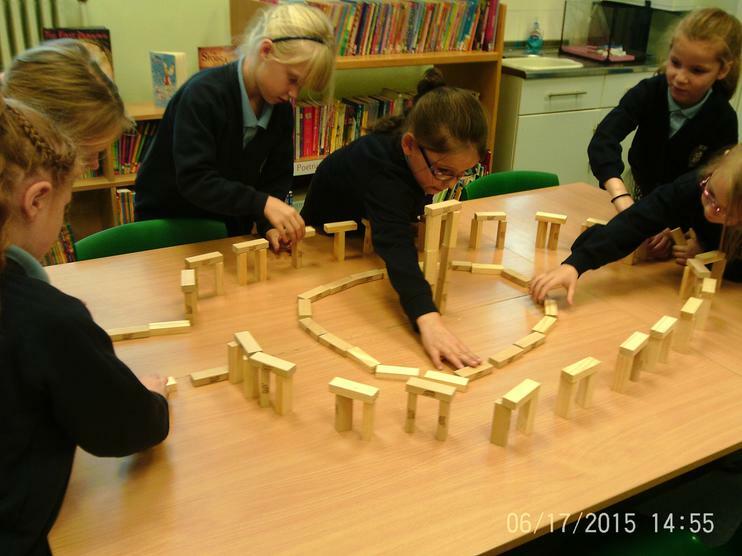 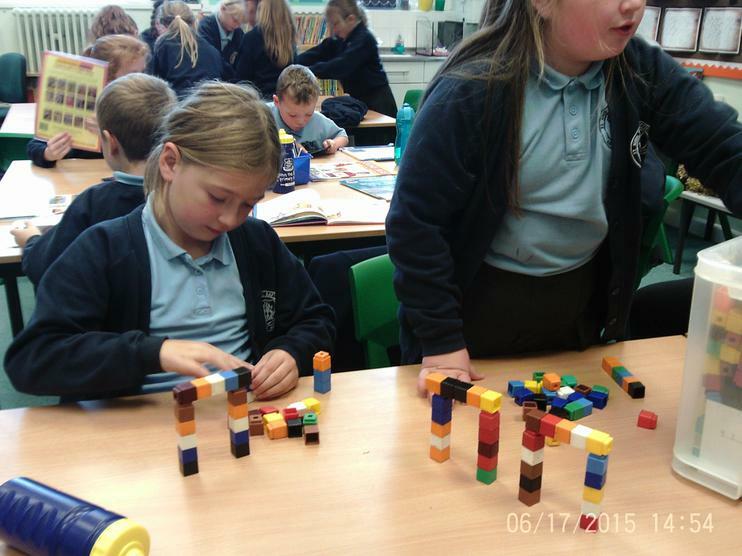 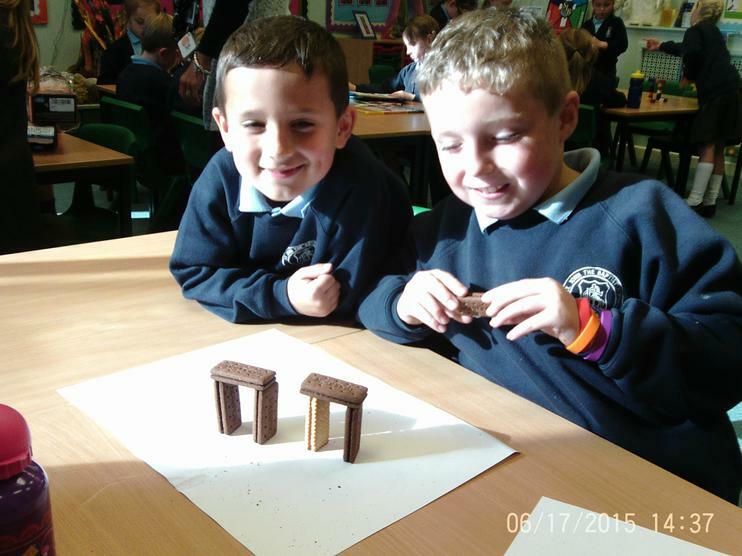 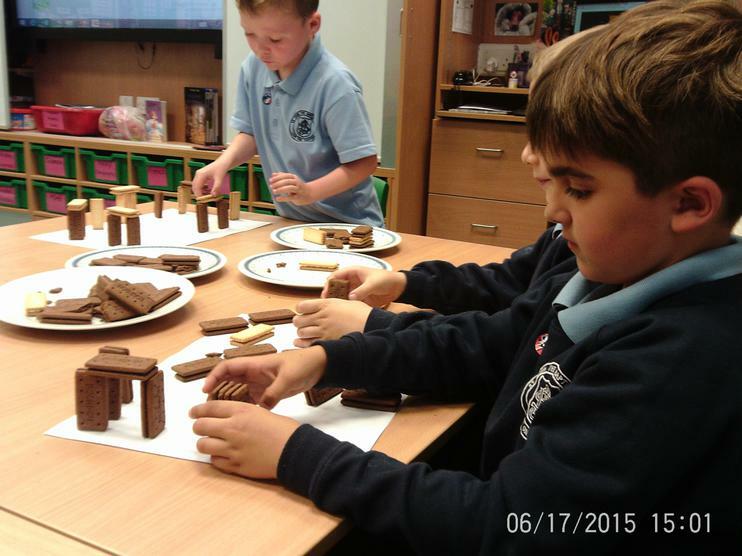 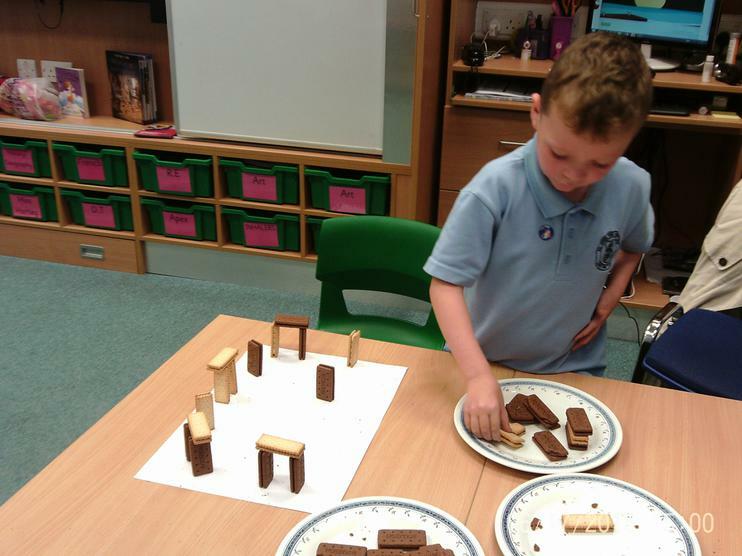 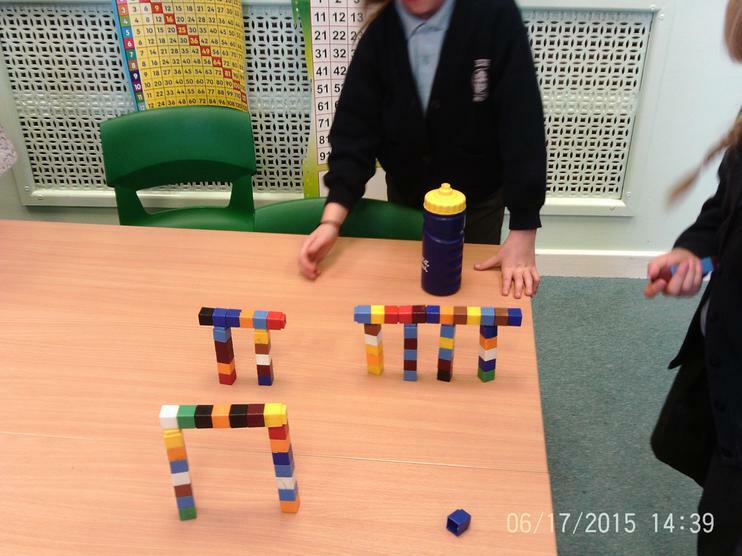 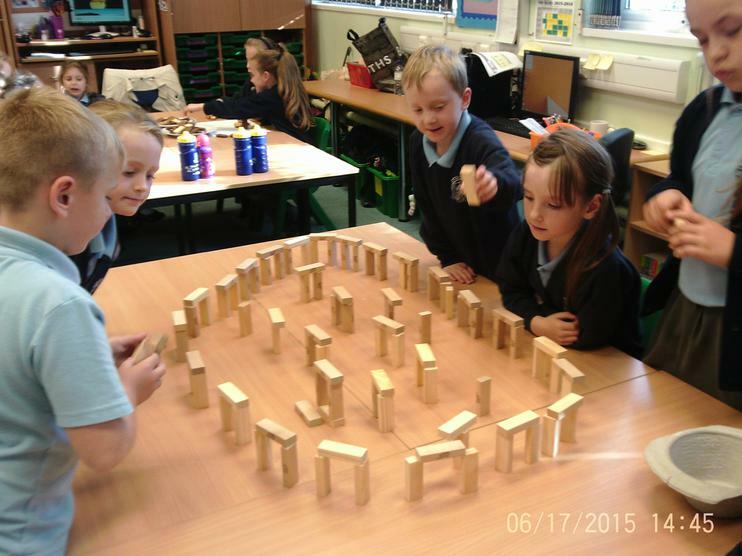 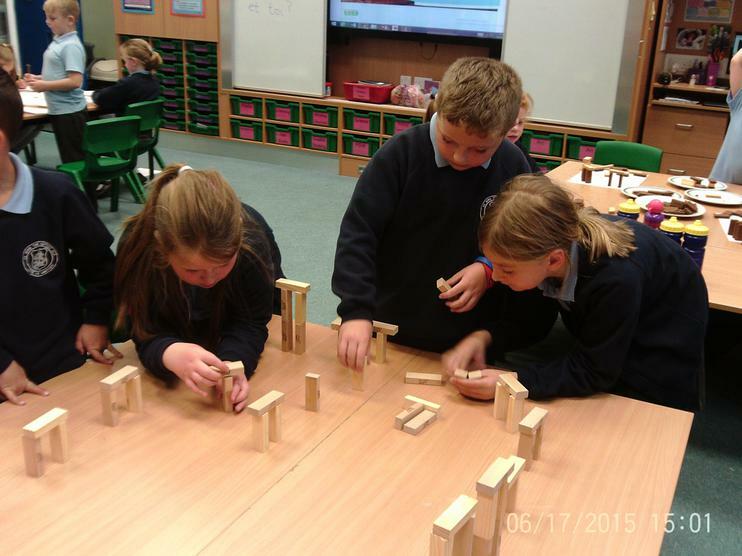 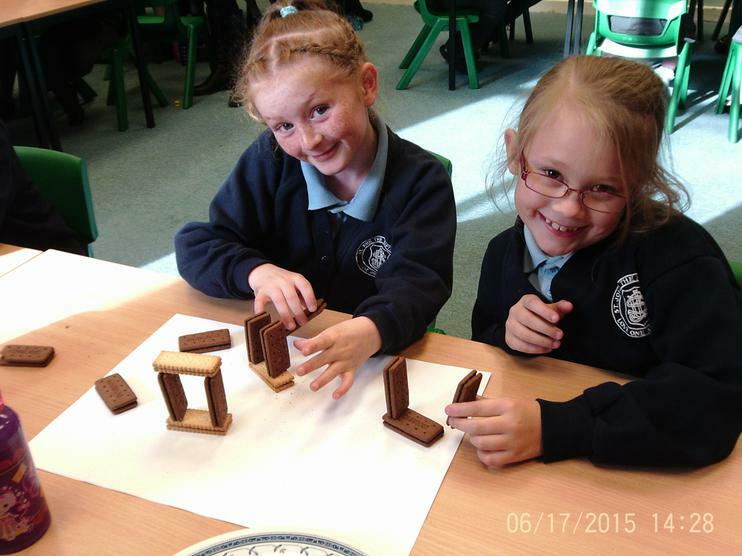 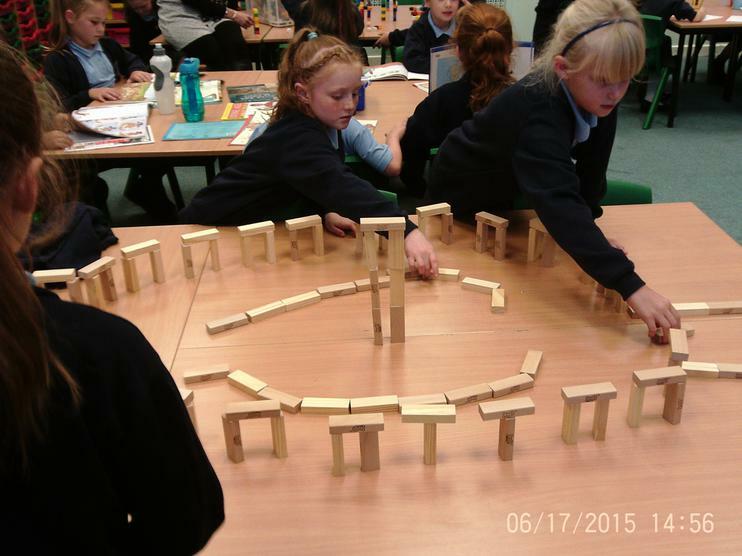 To help us understand the famous Stone Age monument Stonehenge, we had an afternoon trying to recreate it using different things. 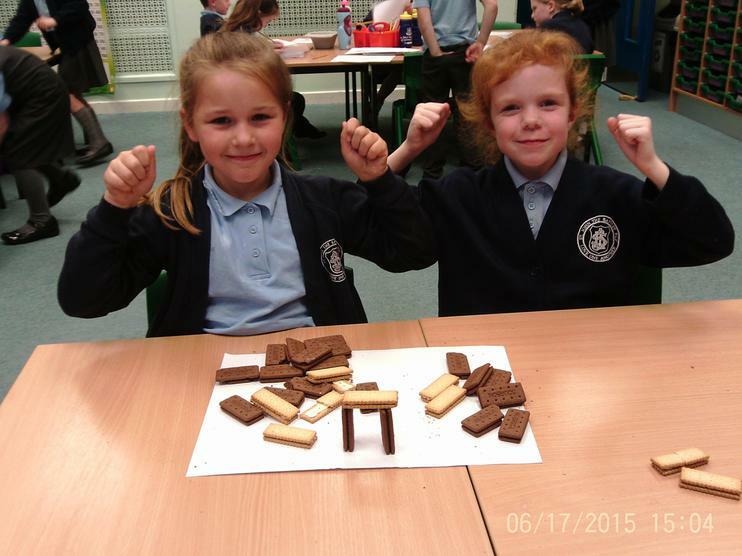 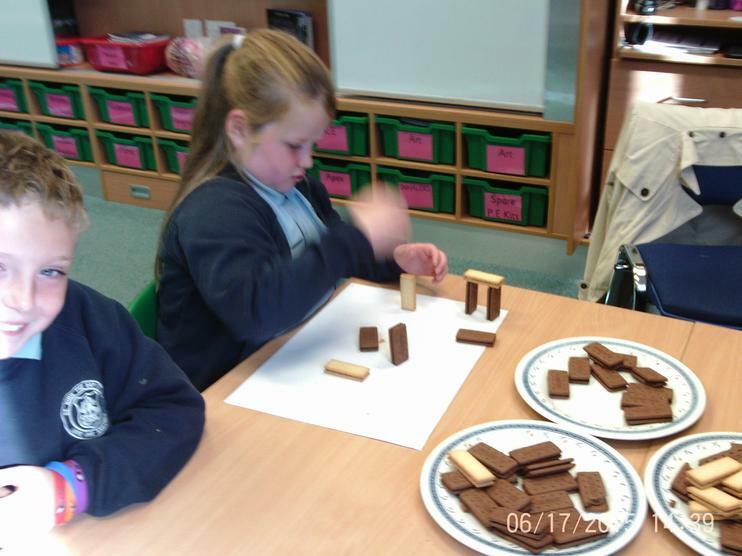 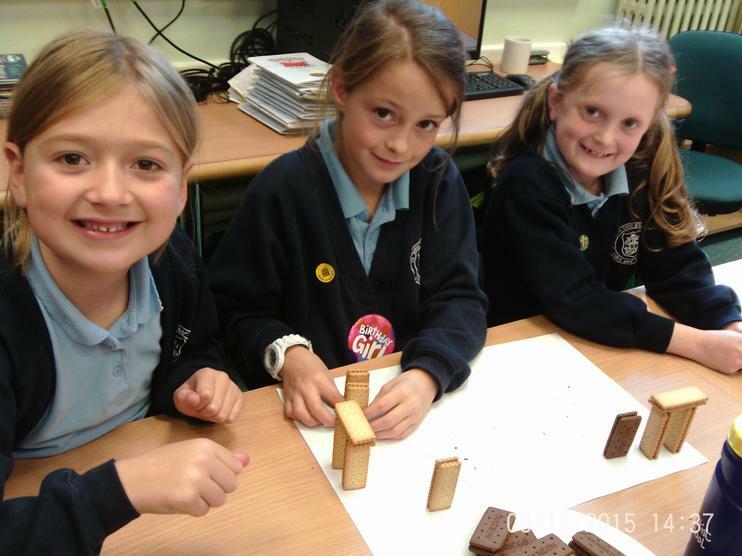 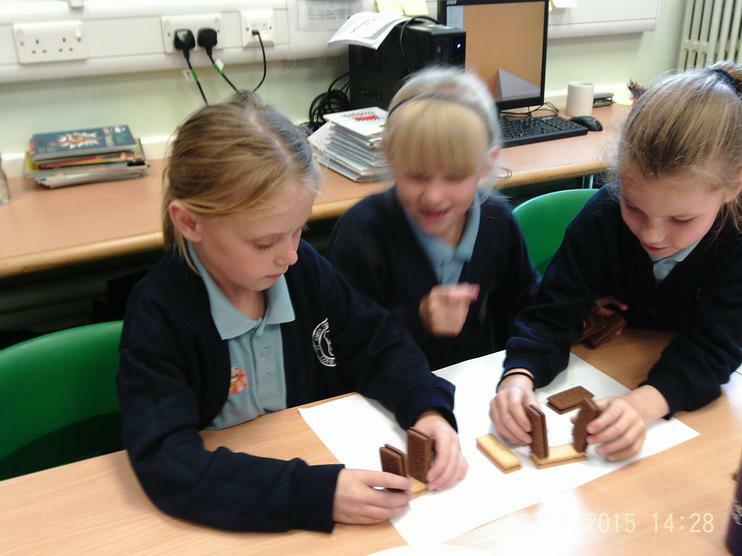 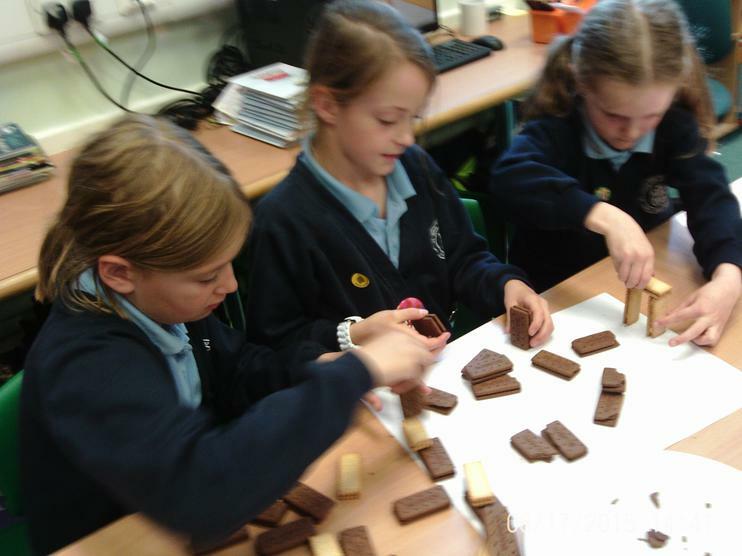 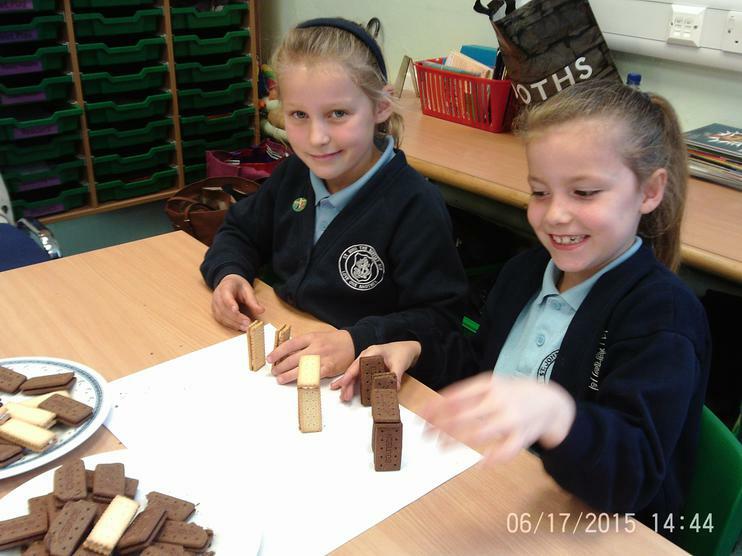 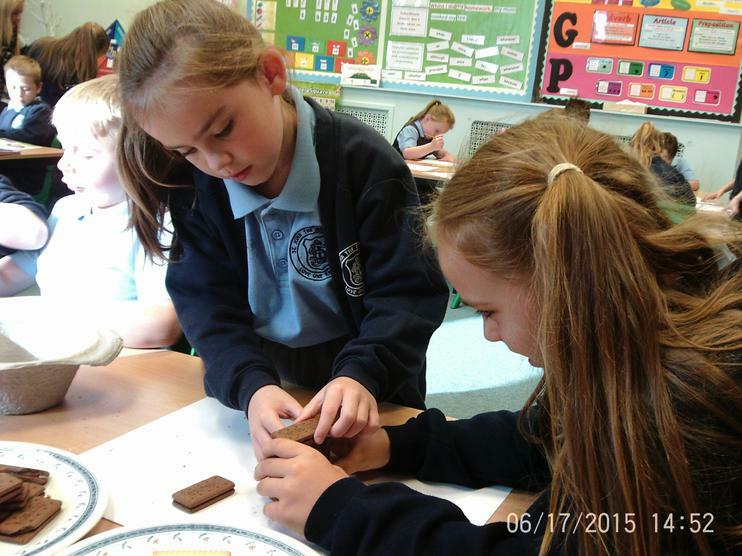 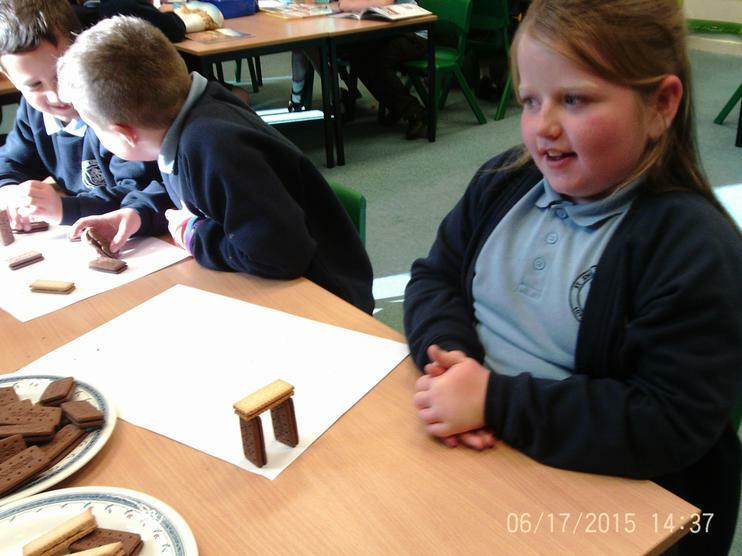 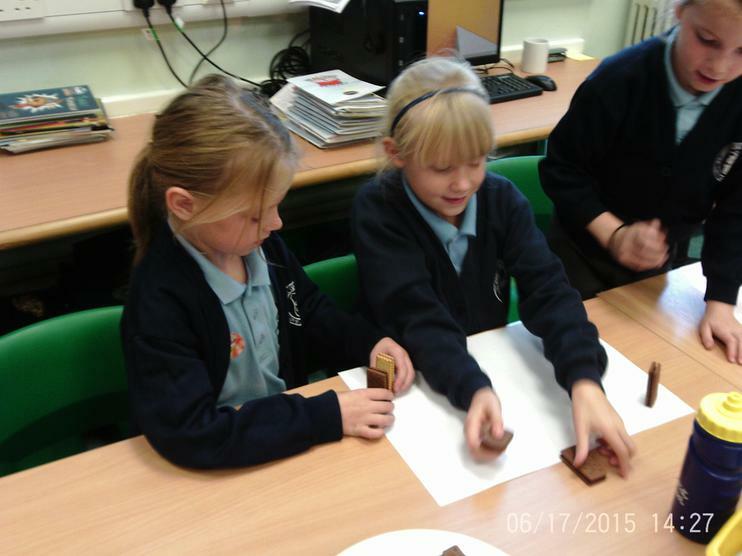 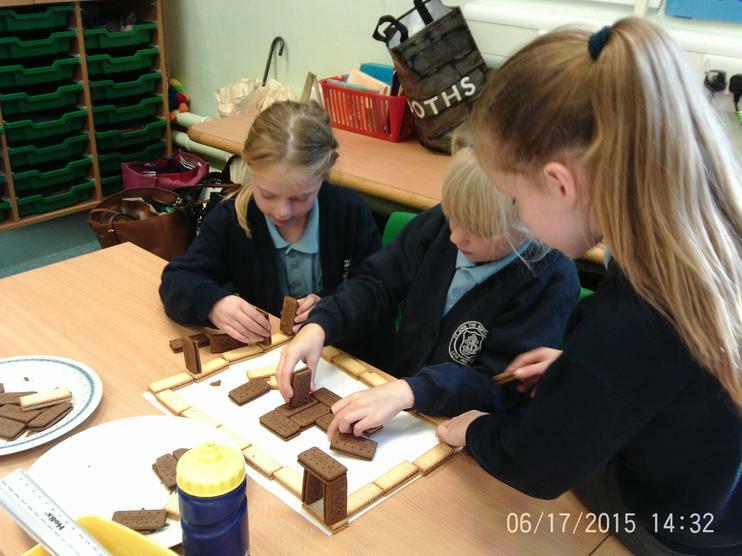 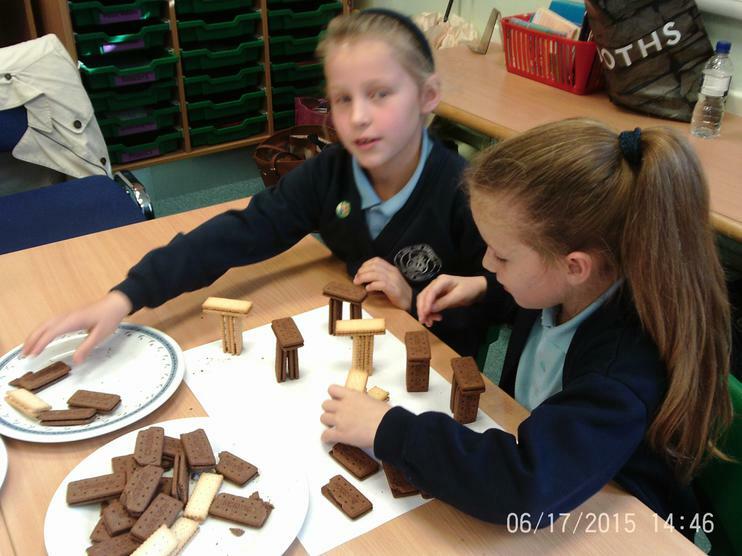 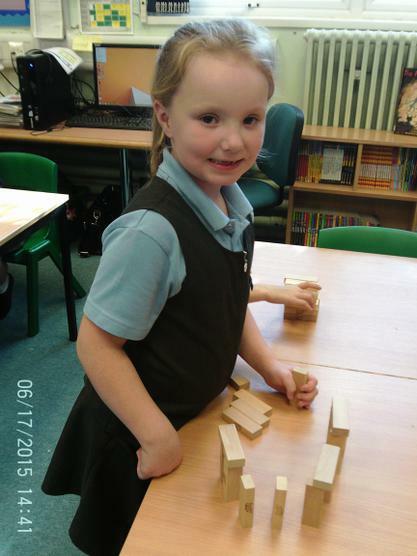 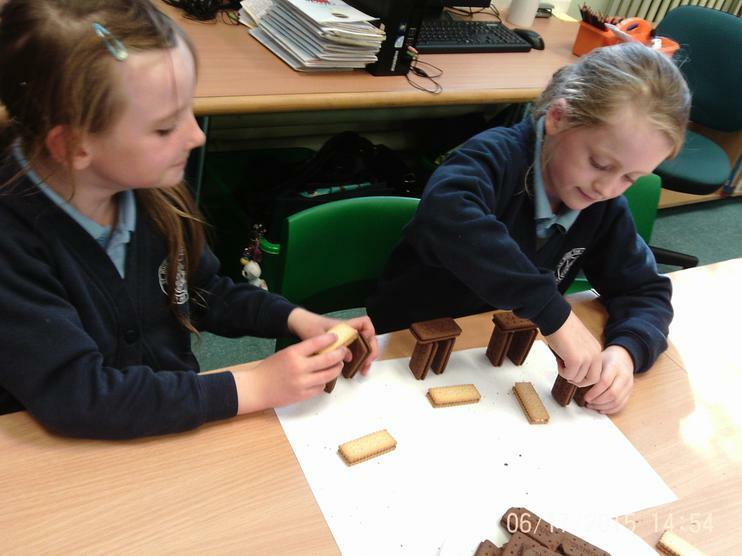 We found the easiest thing to make it out of was Jenga blocks and the hardest (but most exciting) was the biscuits!